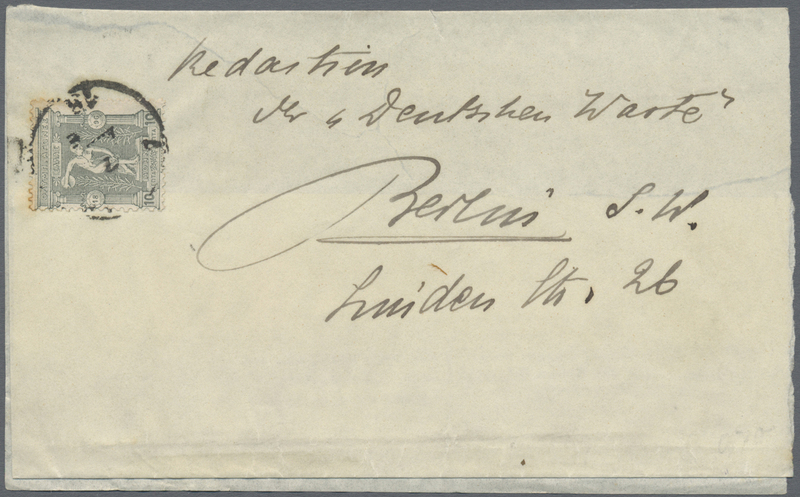 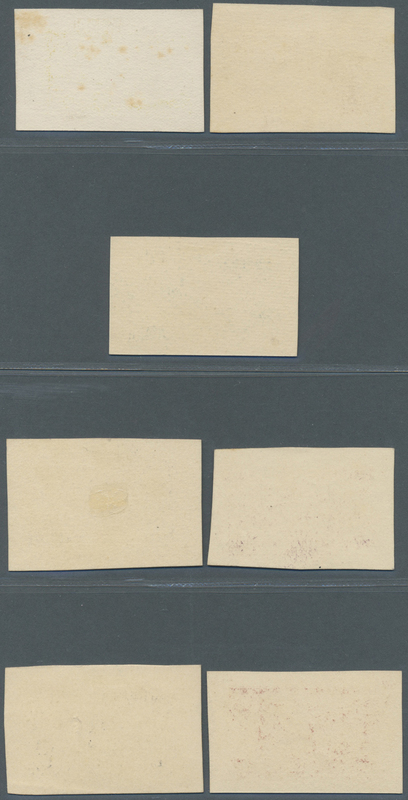 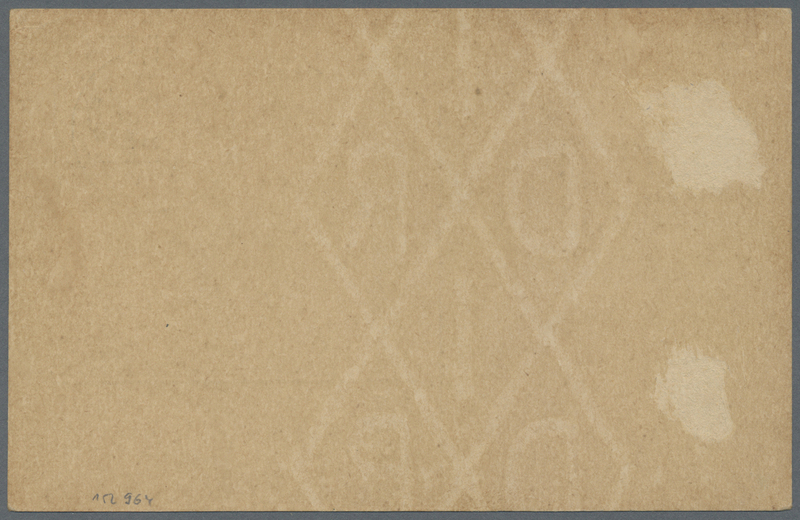 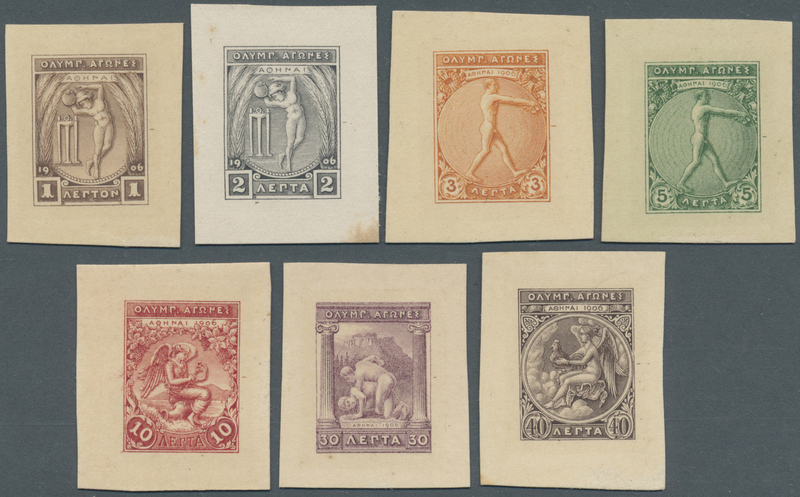 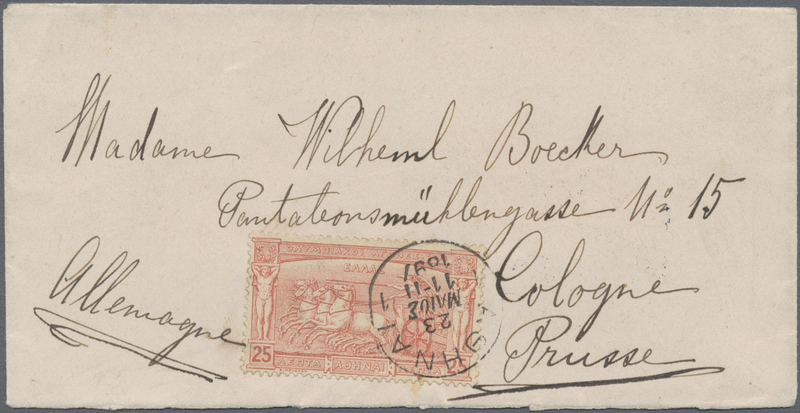 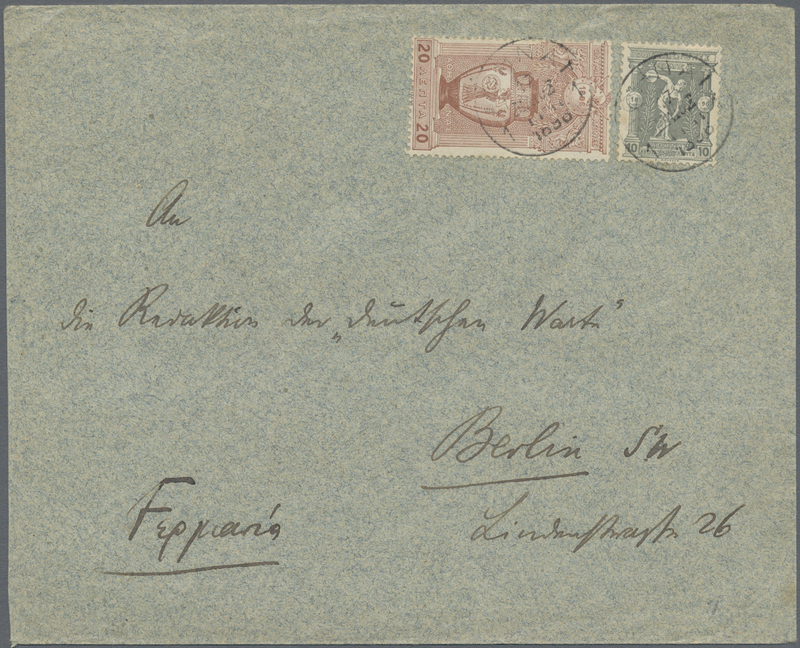 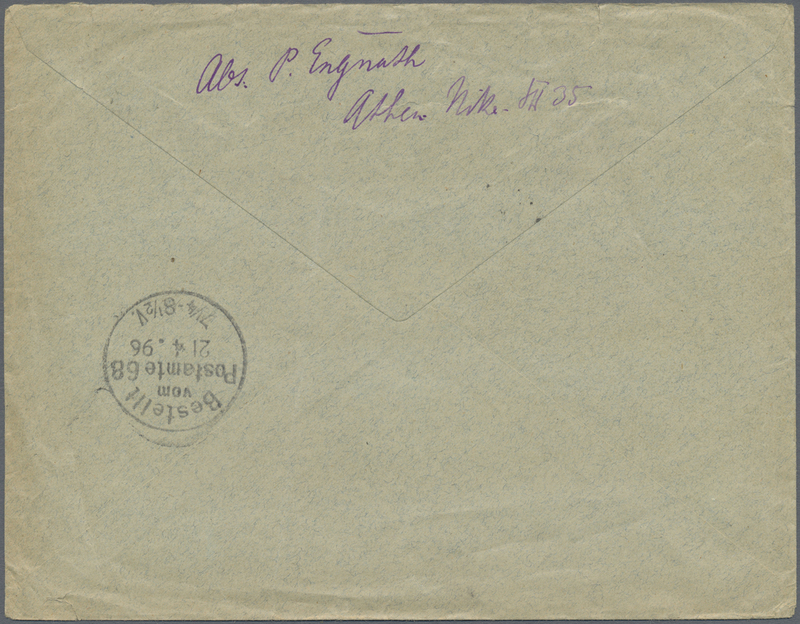 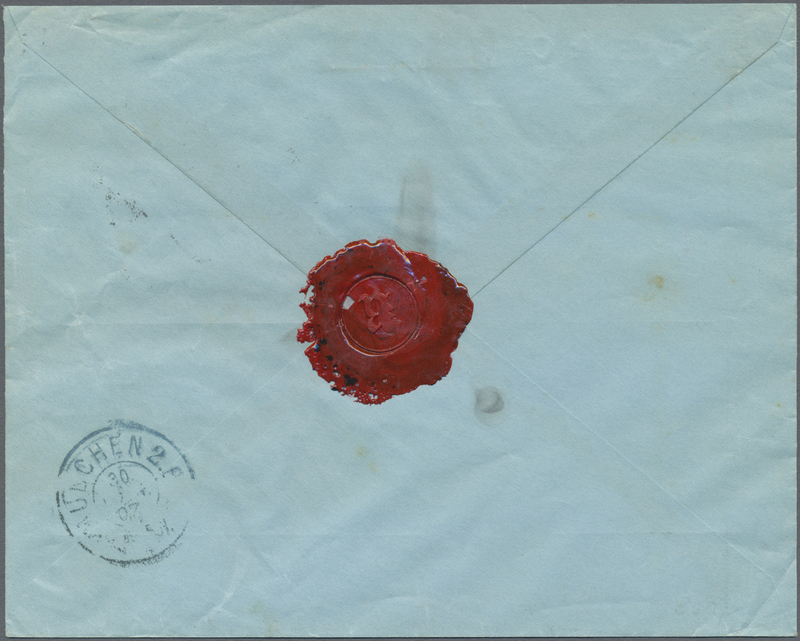 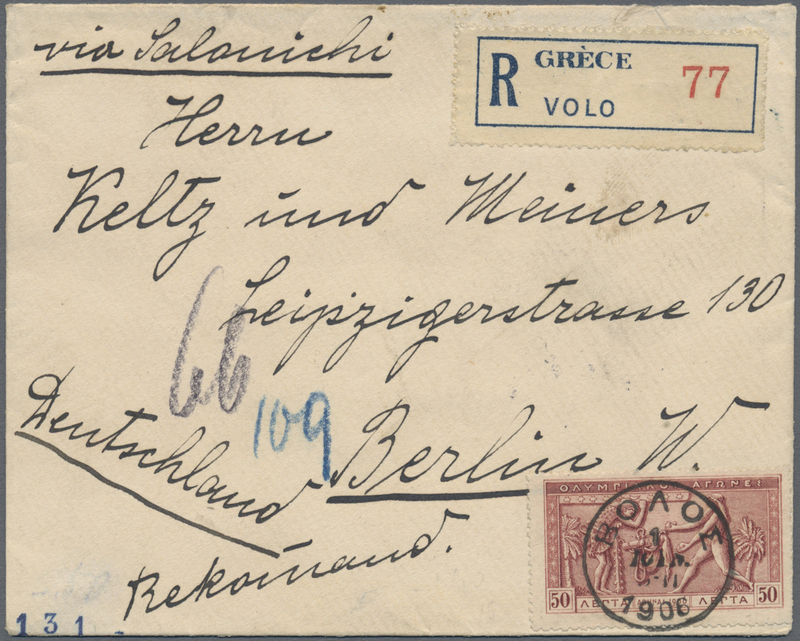 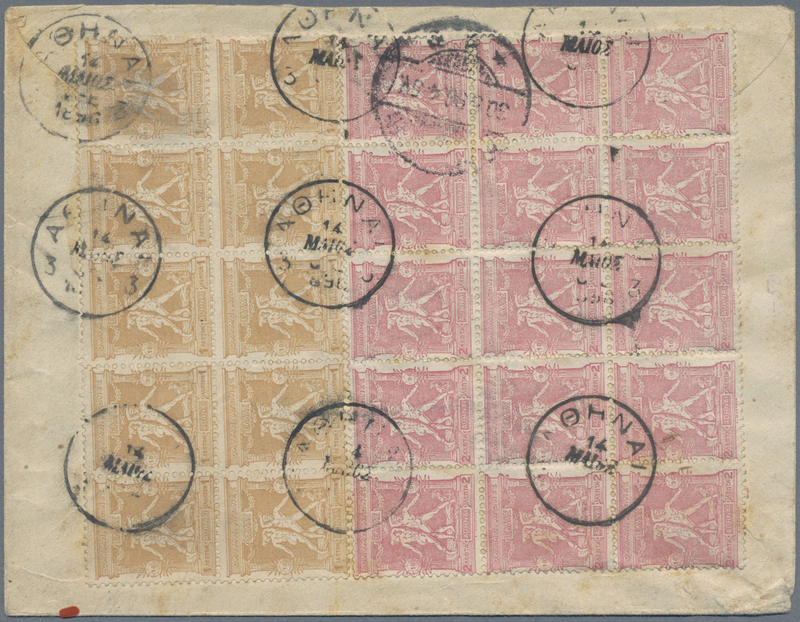 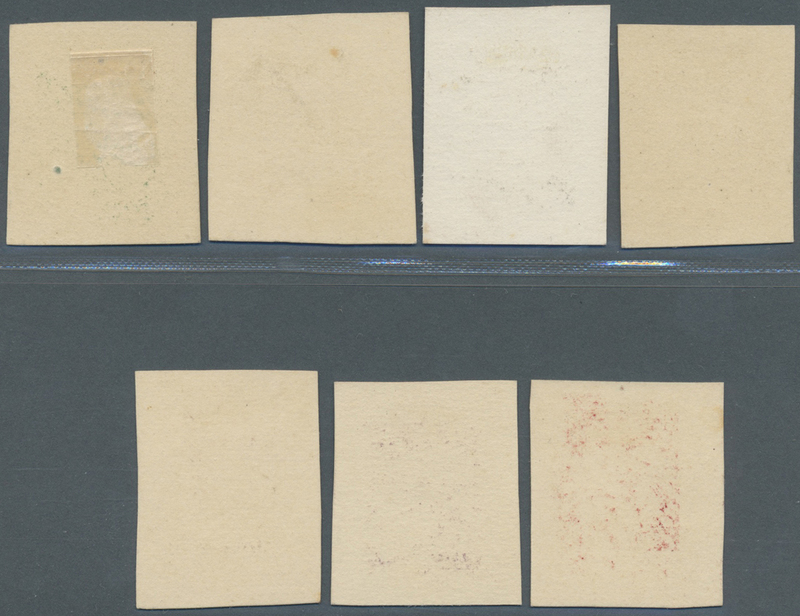 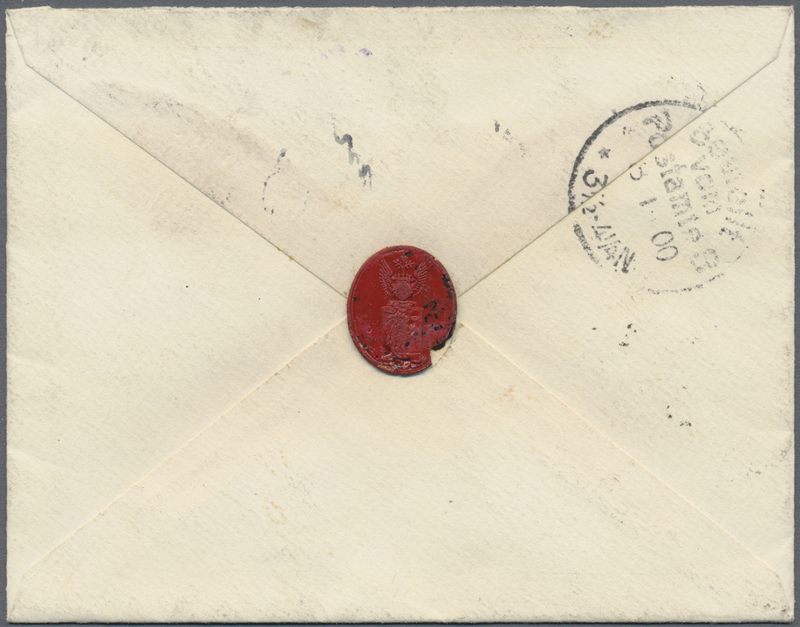 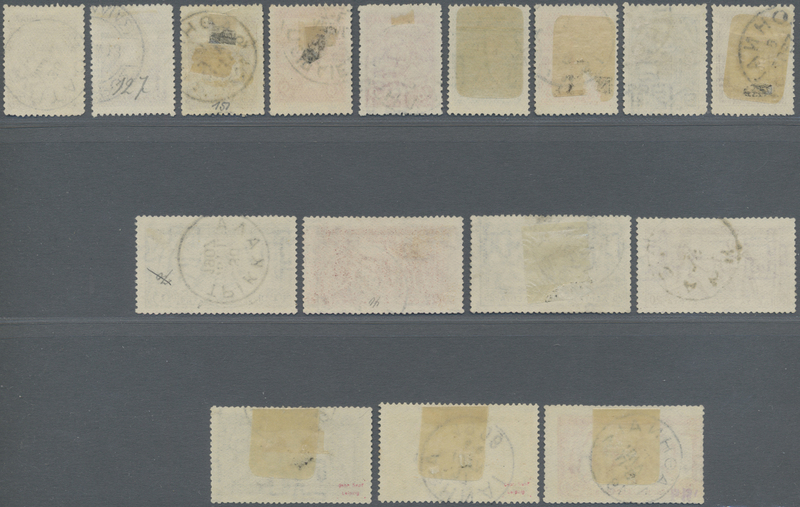 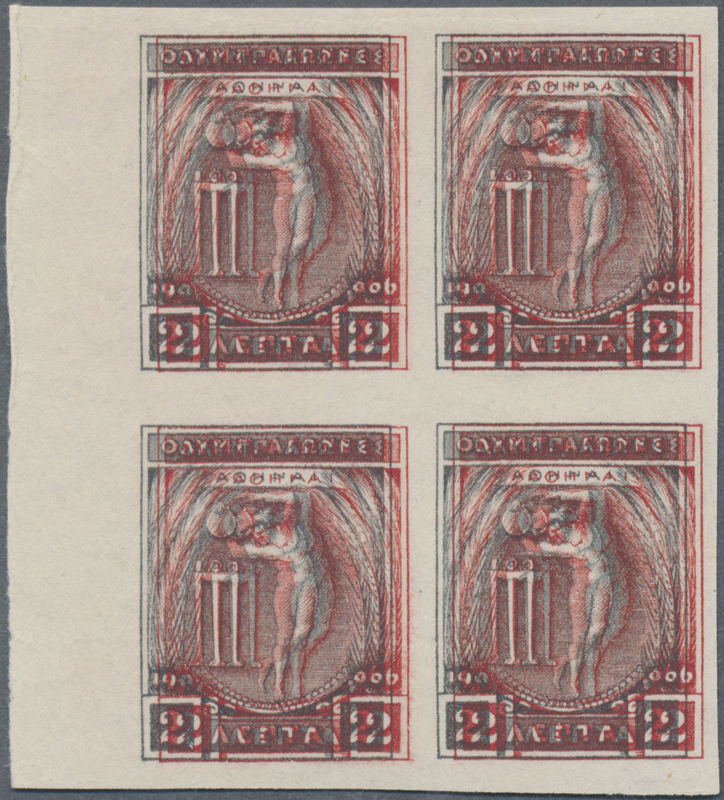 10388 postfrisch (never hinged) ** 4er (Block) 145 (4) 1906, 2 Lepta discus thrower, mnh block of four from left margin with second printing in red instead of grey. 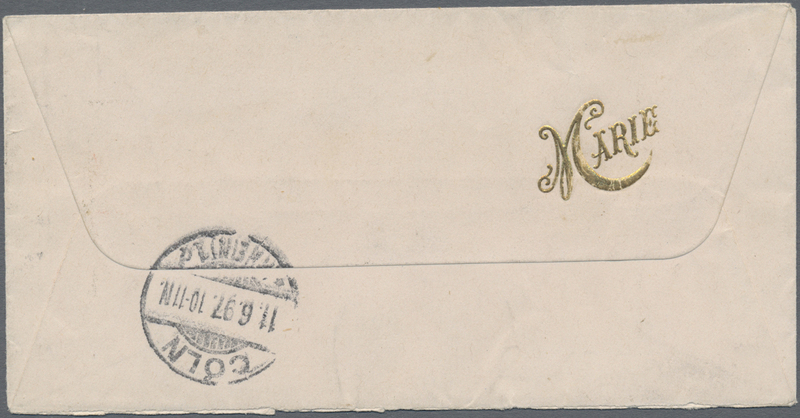 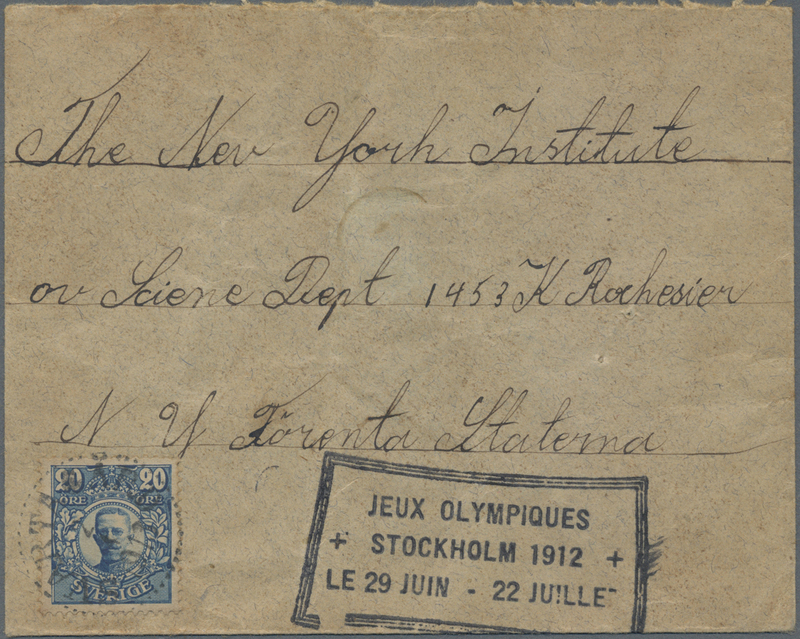 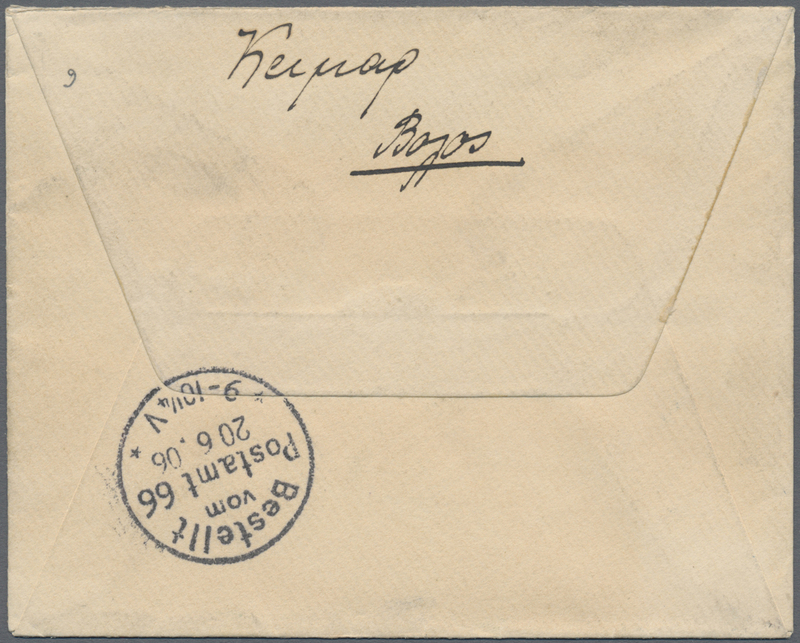 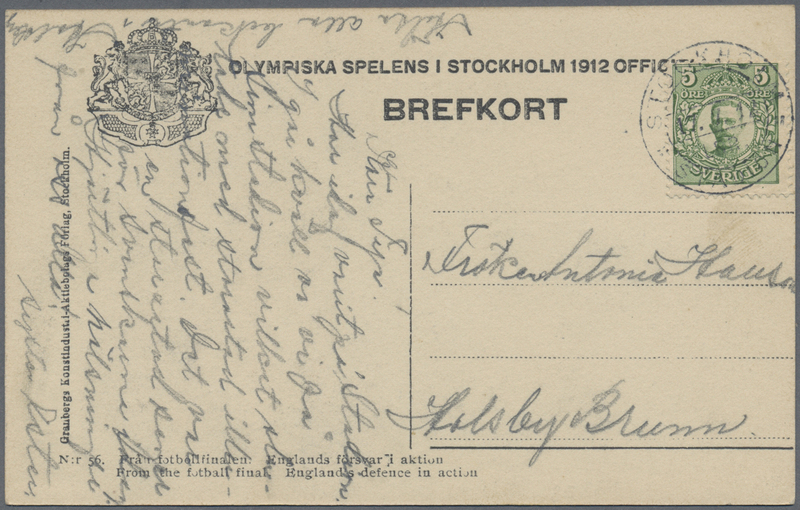 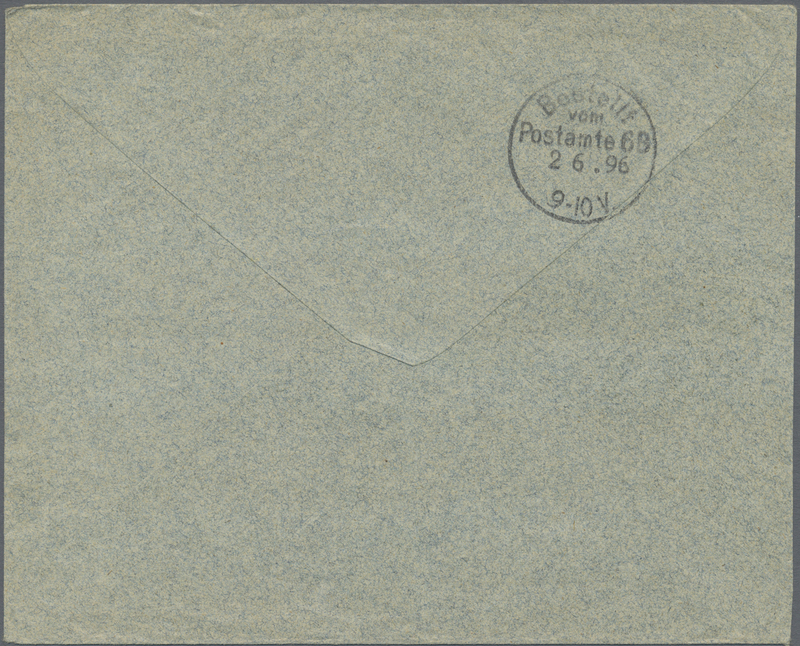 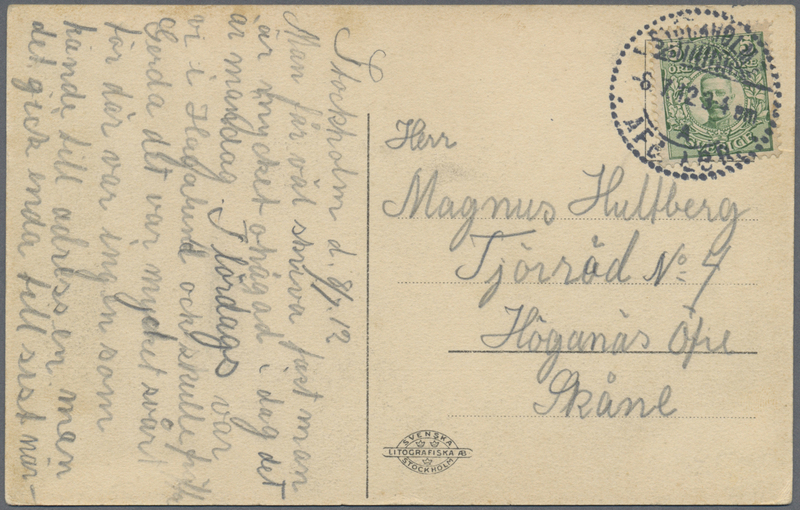 10398 Brief (cover) 68 1912, Schweden für Stockholm '12. 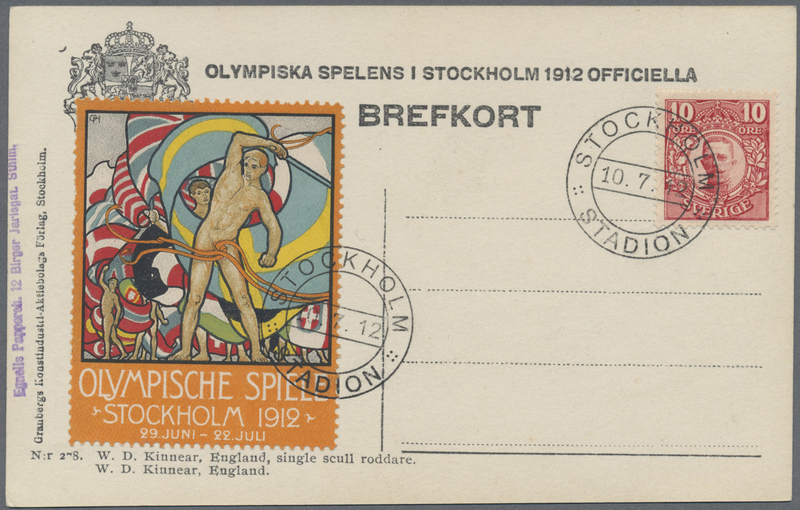 AK "Stockholm Stadion" (Gesamtansicht), gebraucht am 6.7.12 von Stockholm nach Höganas. 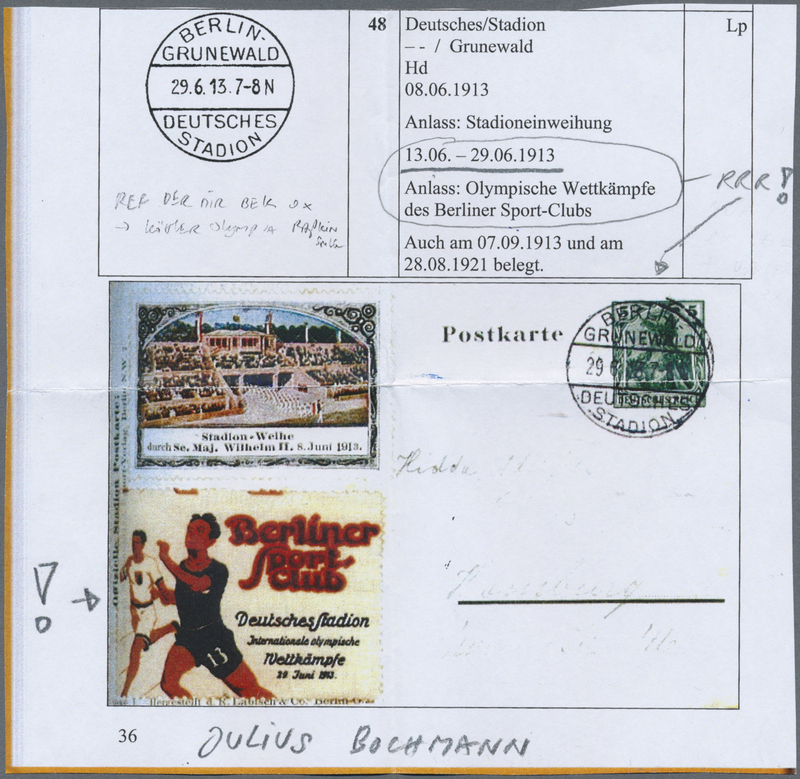 Text bildseitig radiert. 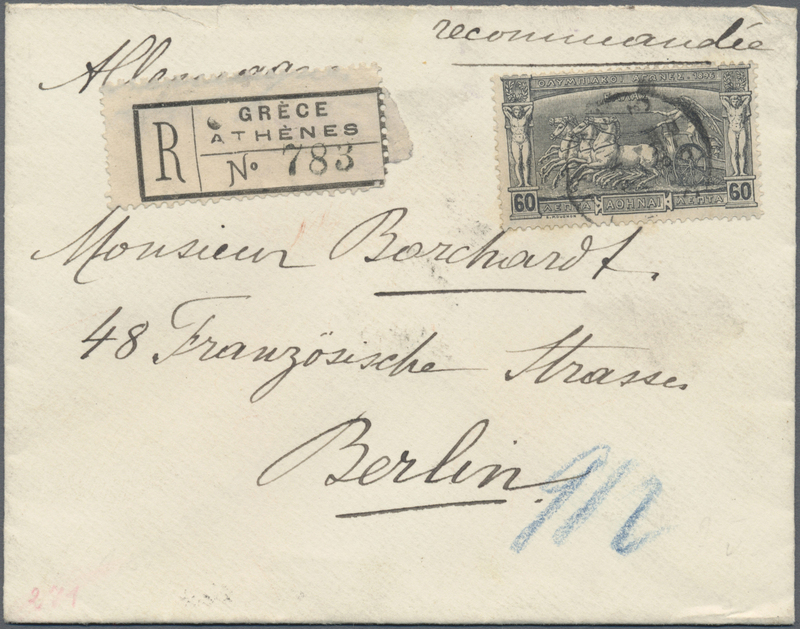 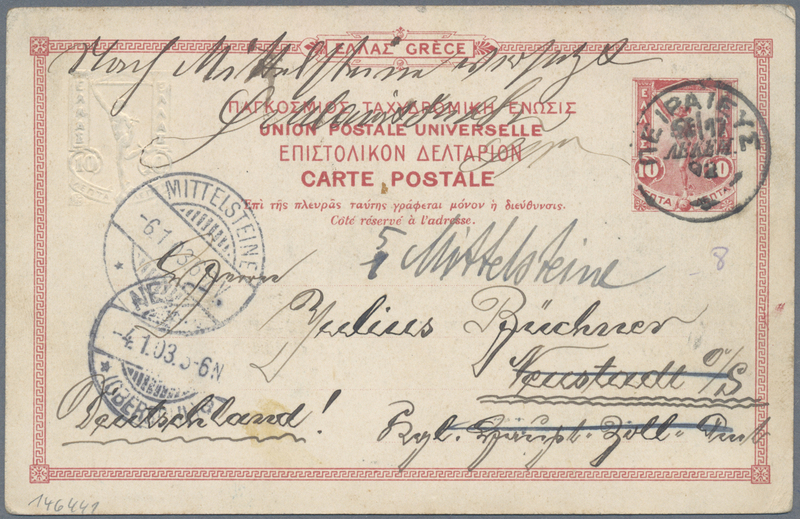 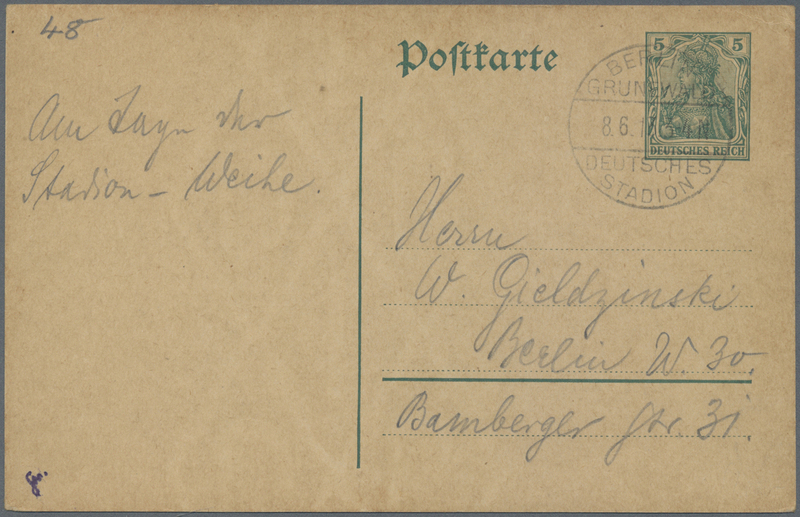 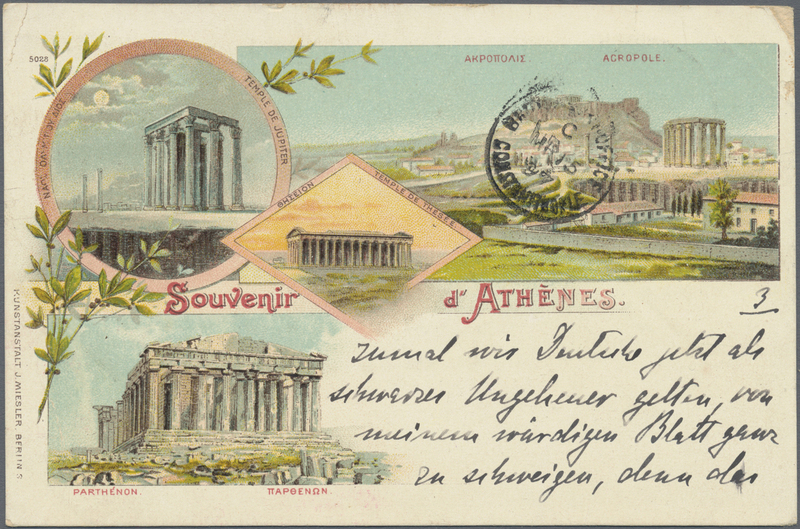 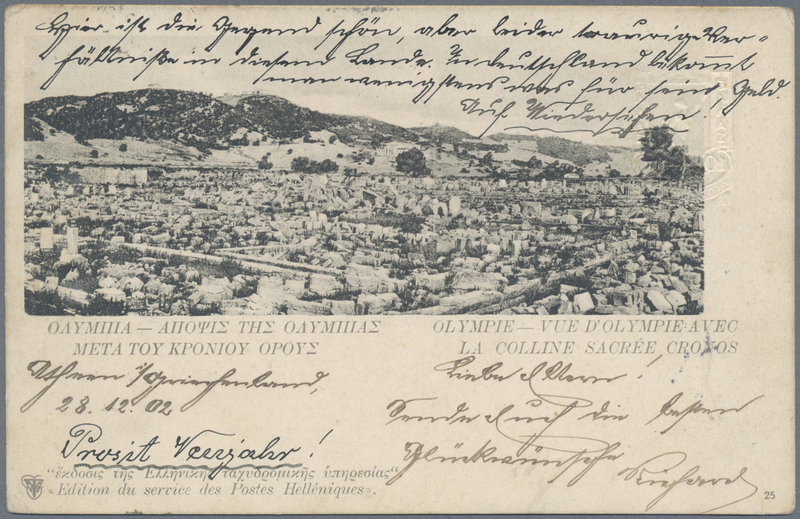 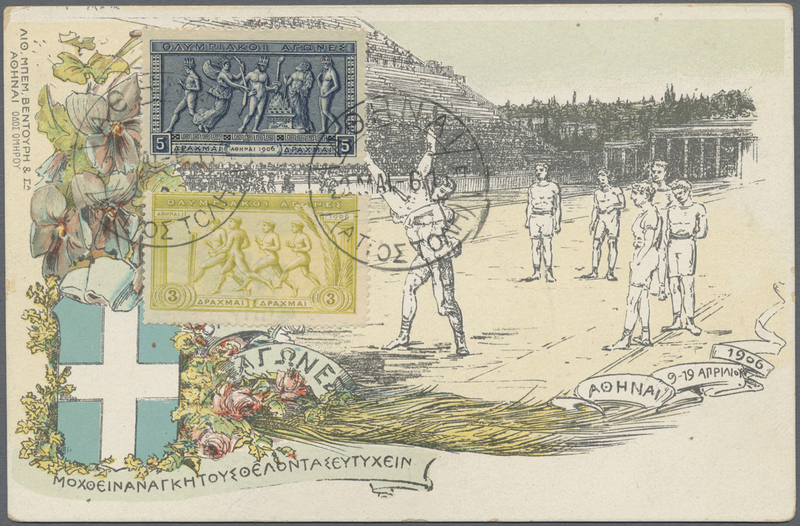 10405 Brief (cover) P90 The Olympia Stadion was build in order to host the games of 1916 which never took place because of the First World War. 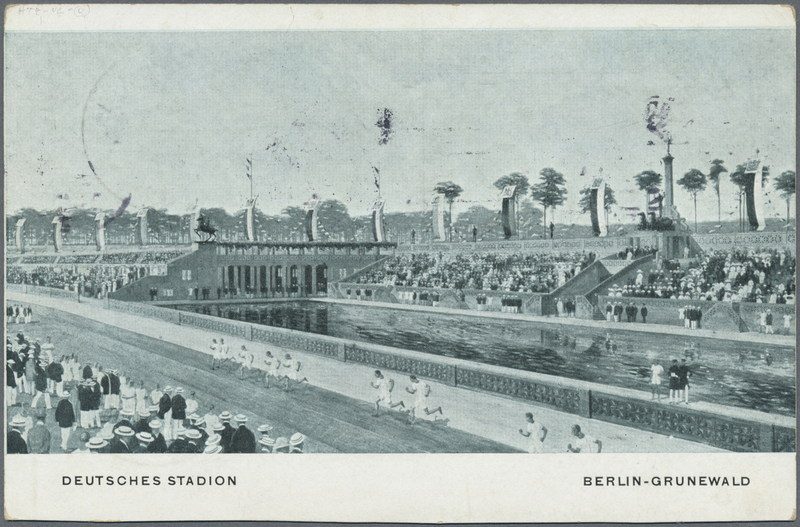 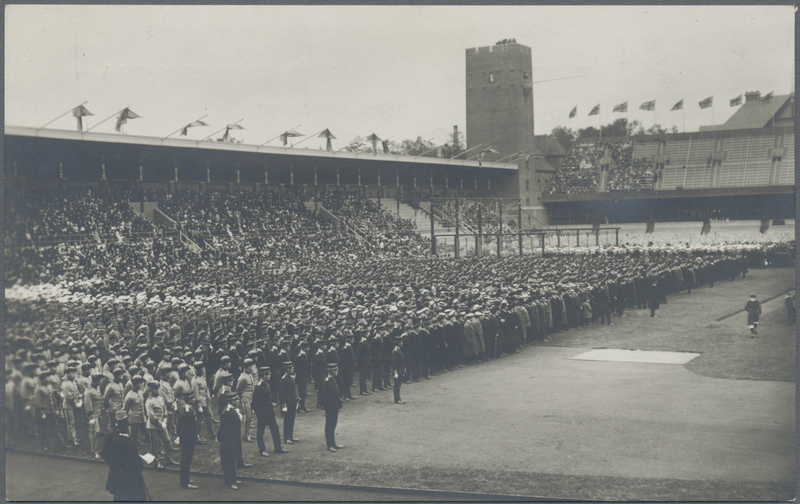 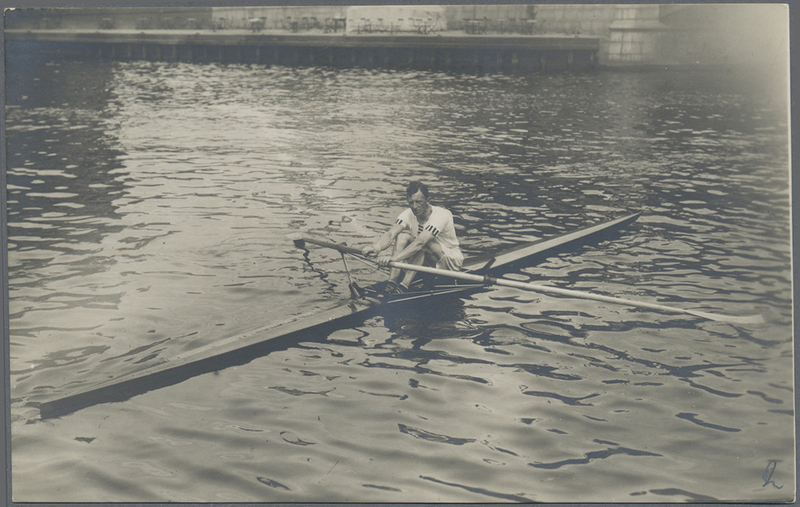 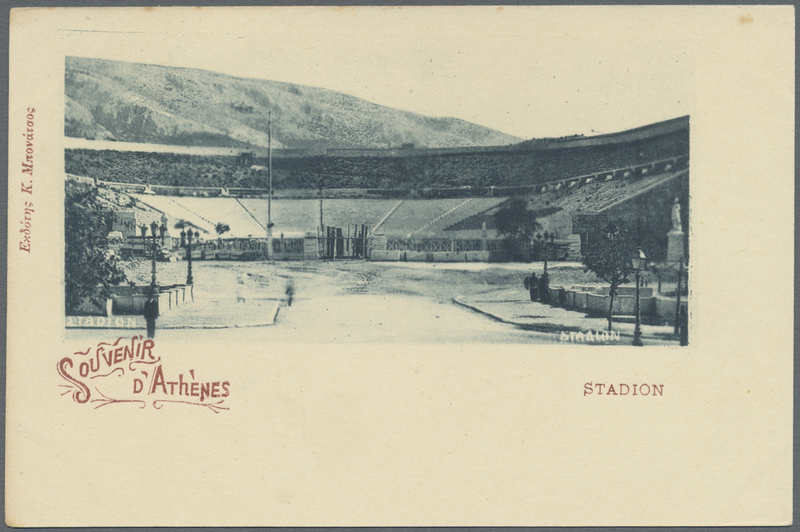 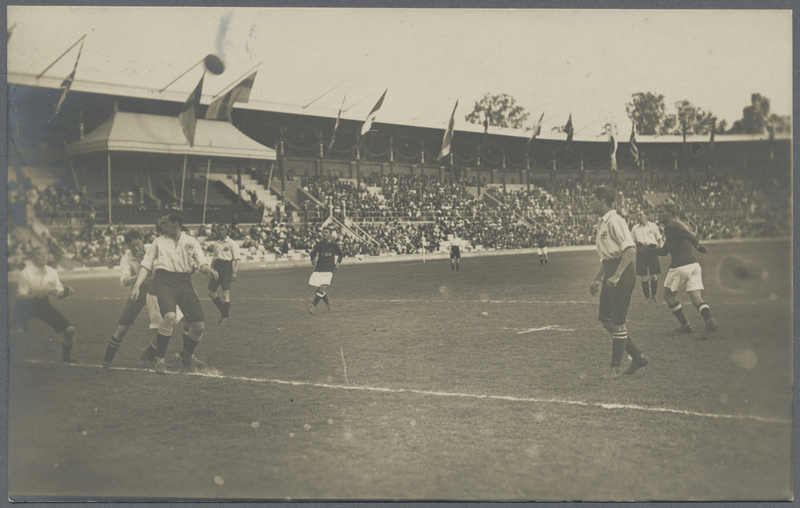 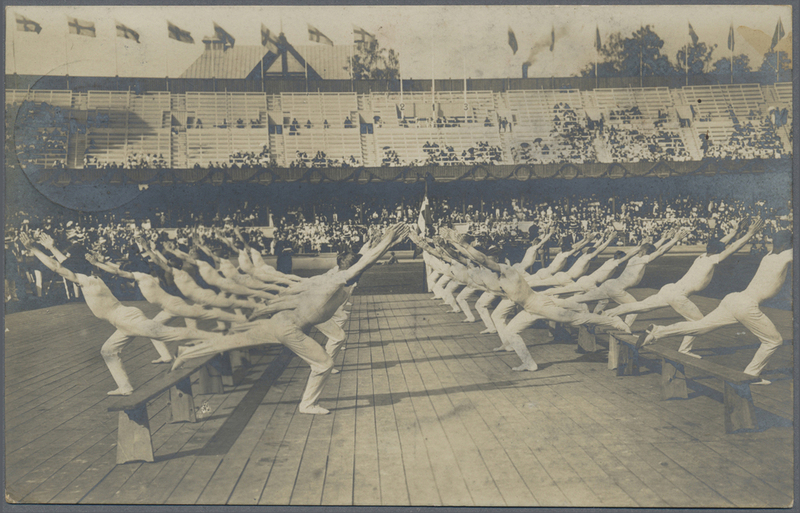 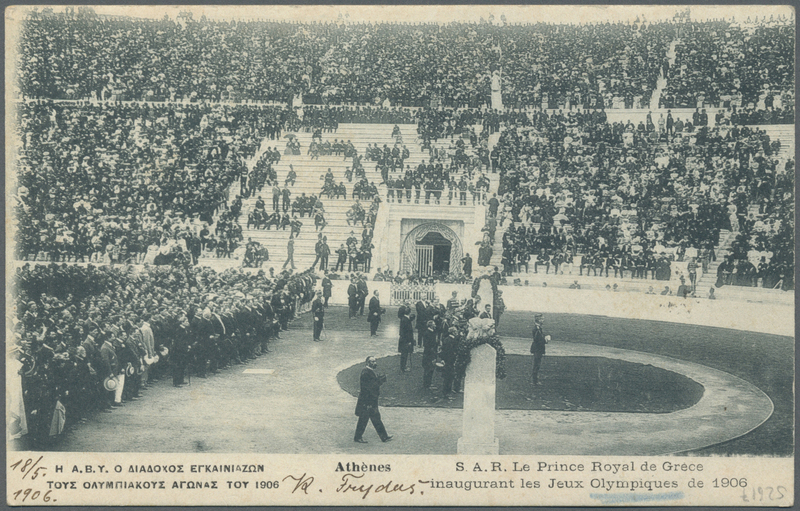 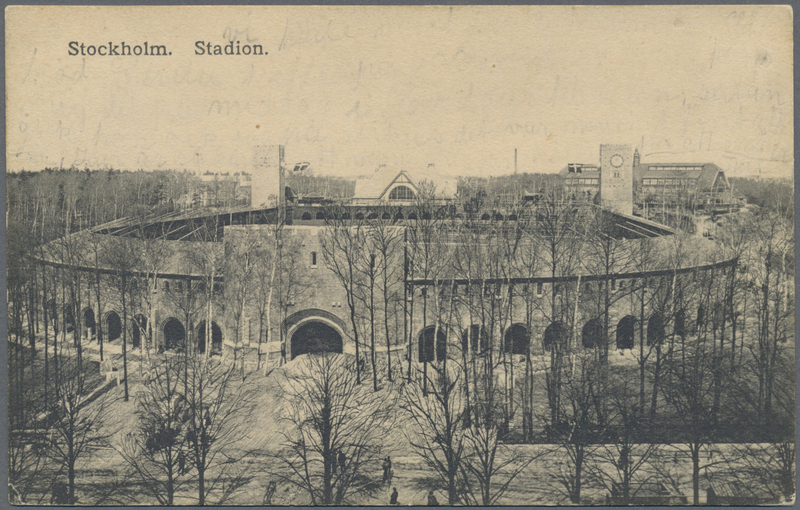 In 1933 on the same location the Olympia Stadion of the games of 1936 was build. 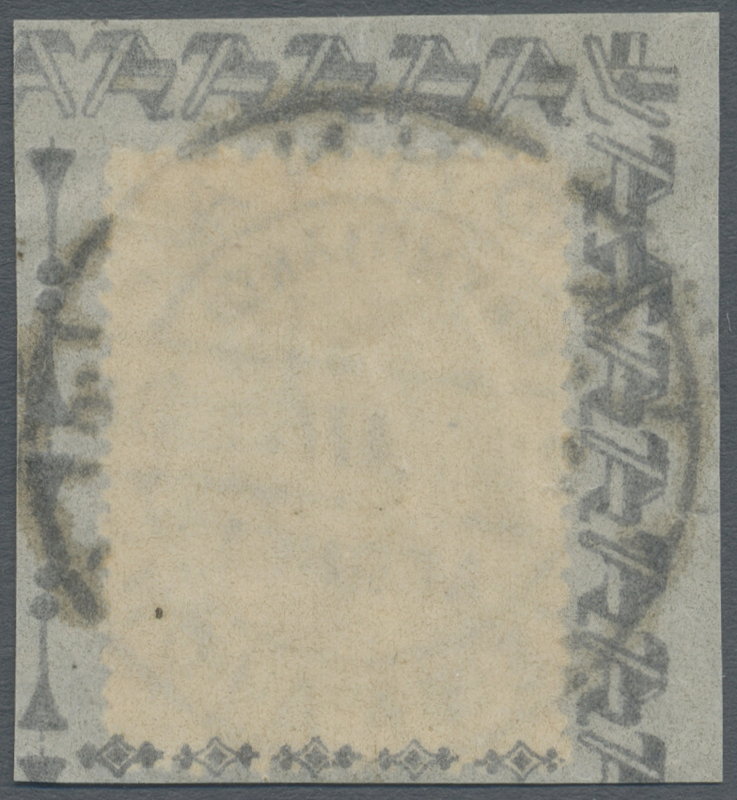 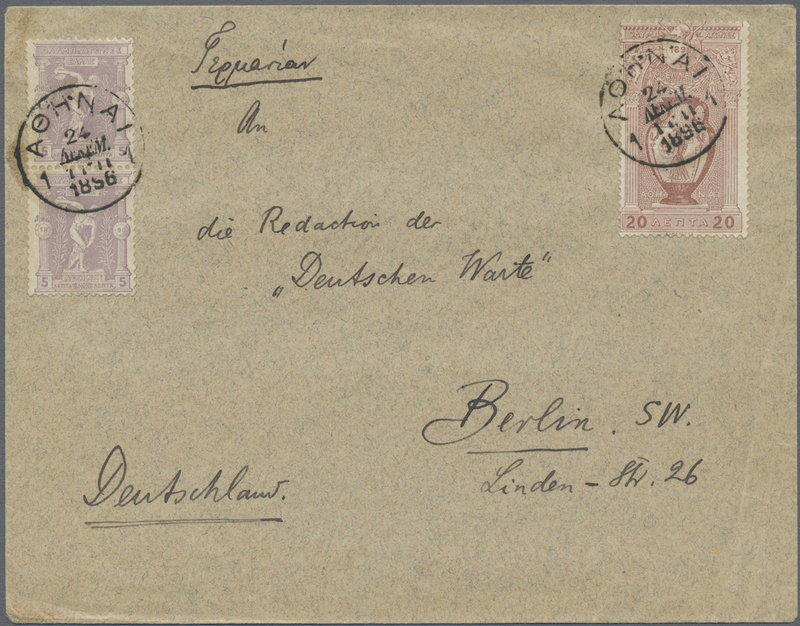 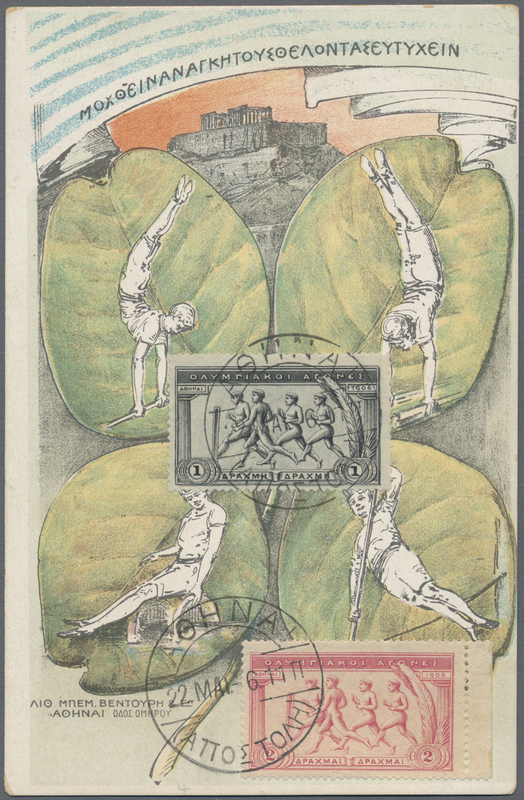 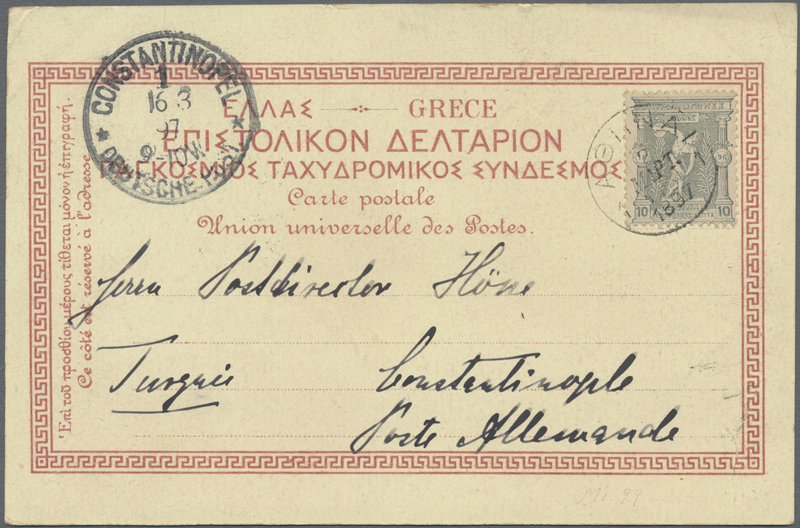 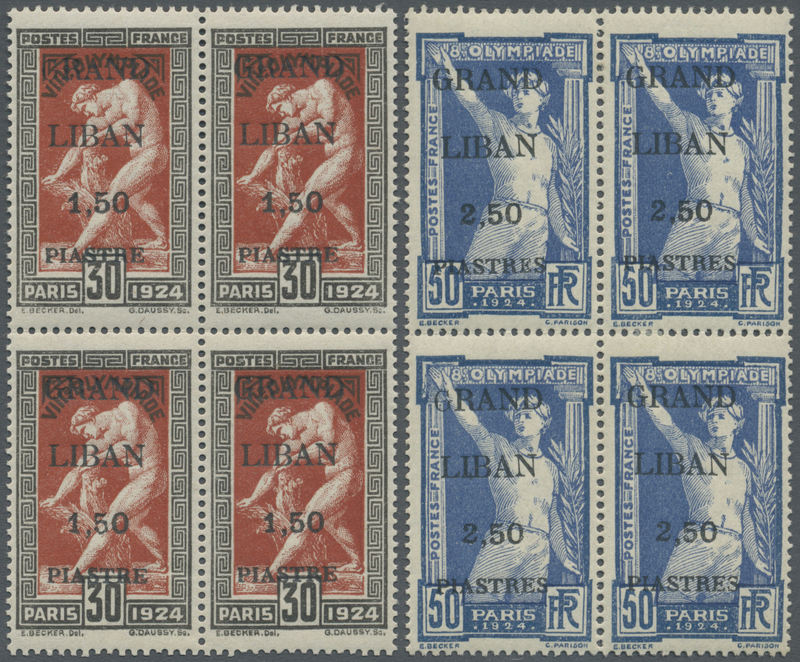 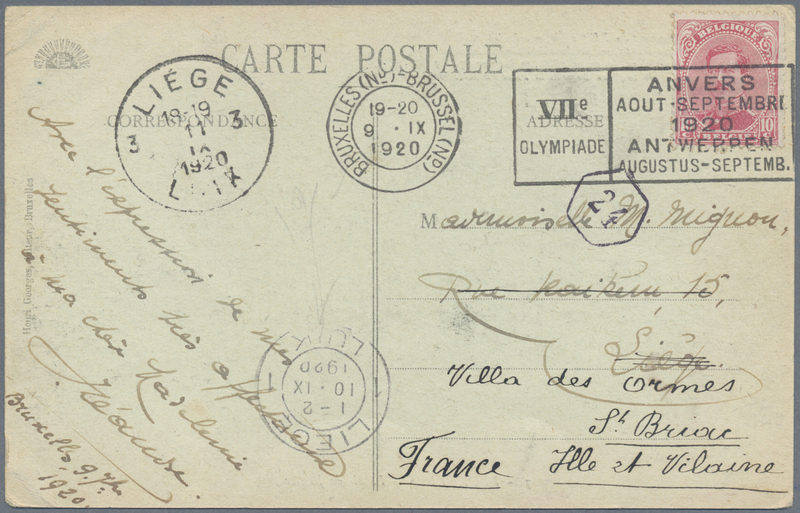 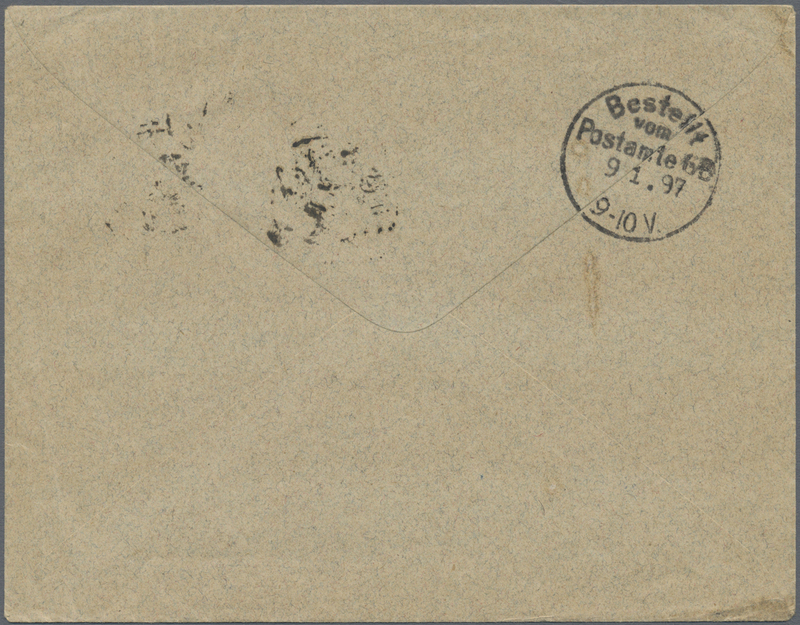 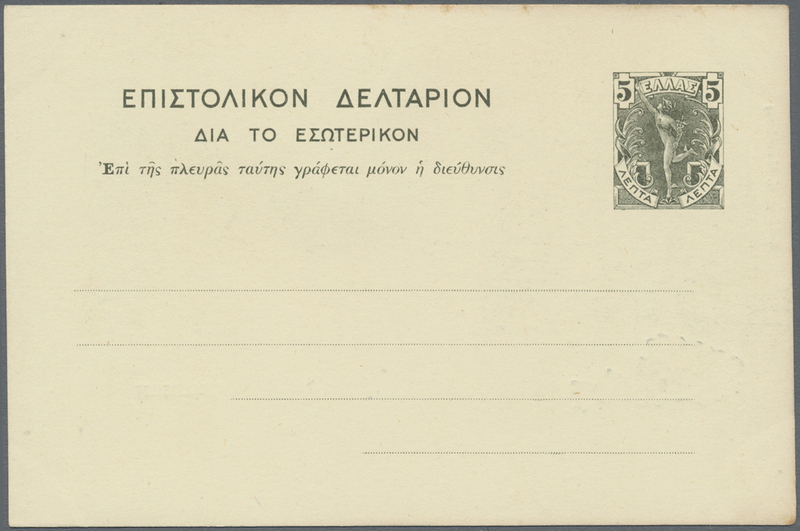 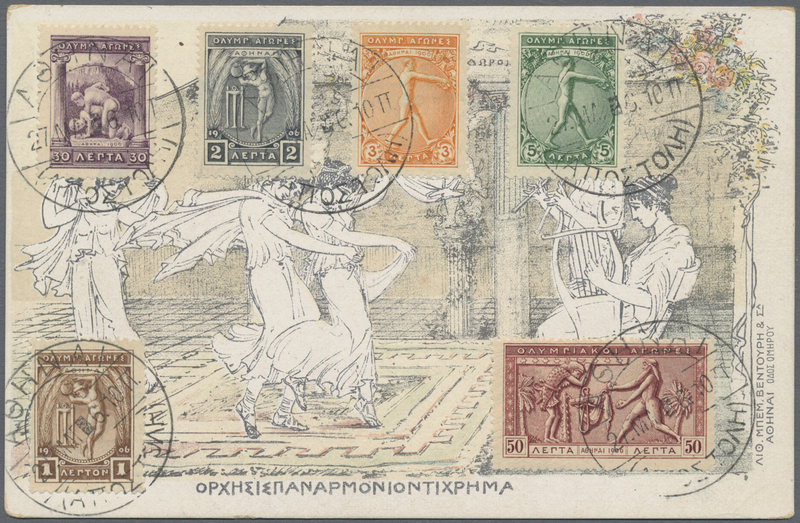 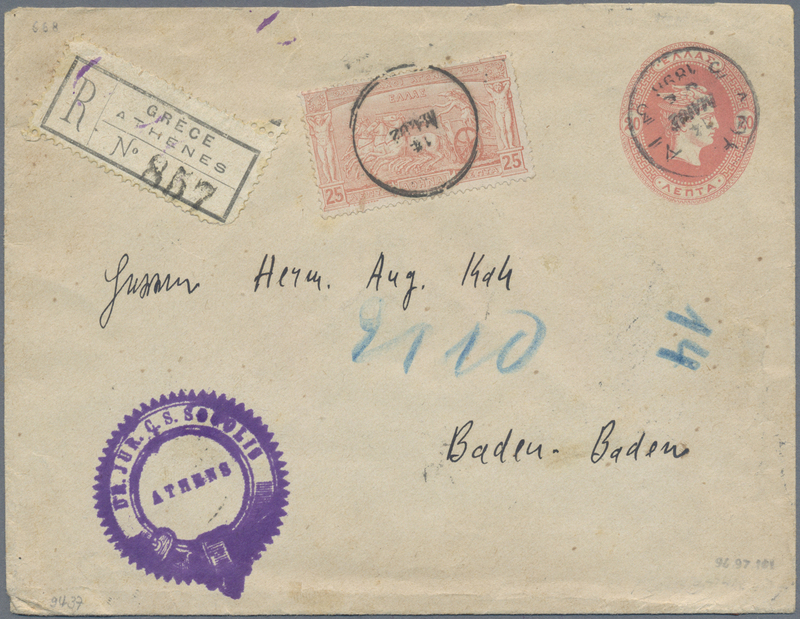 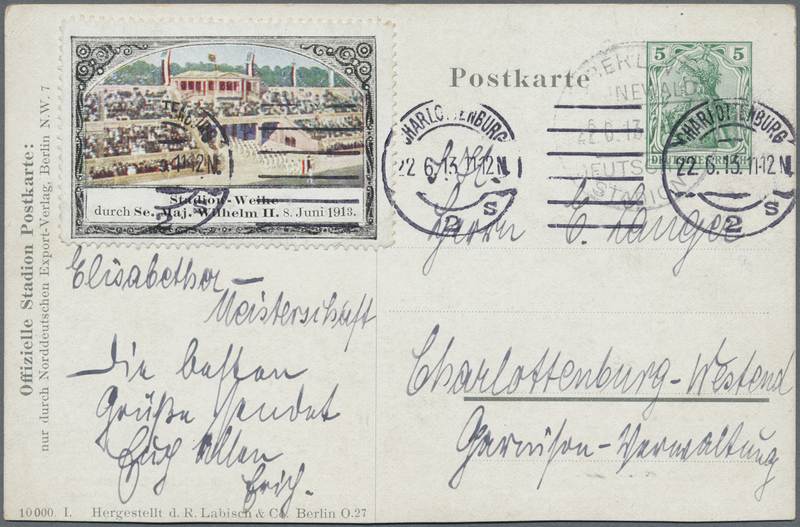 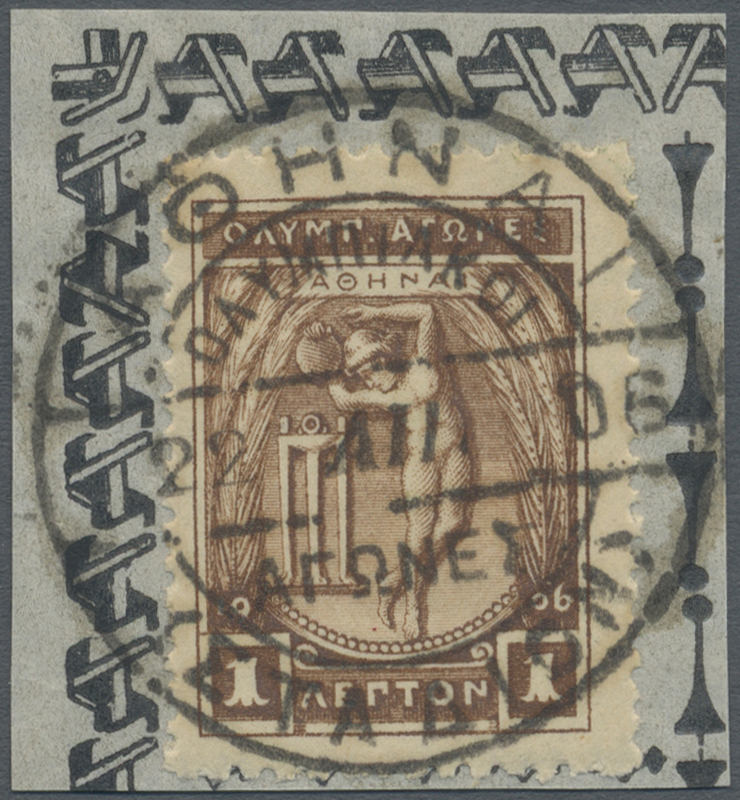 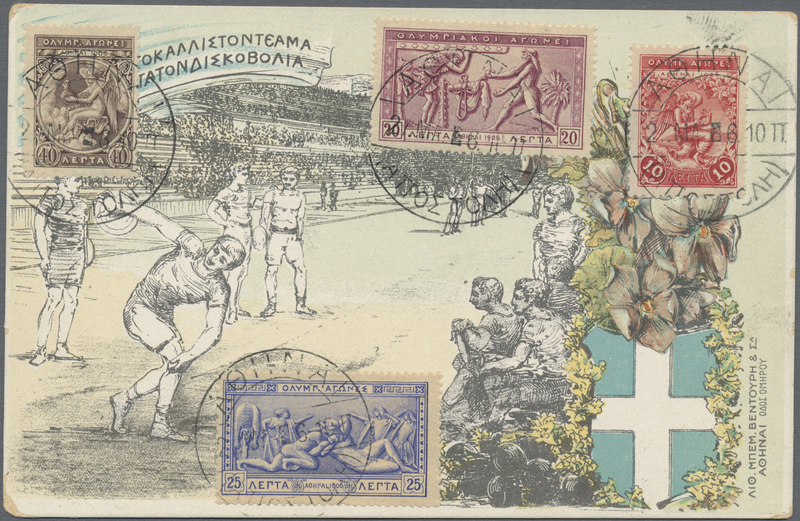 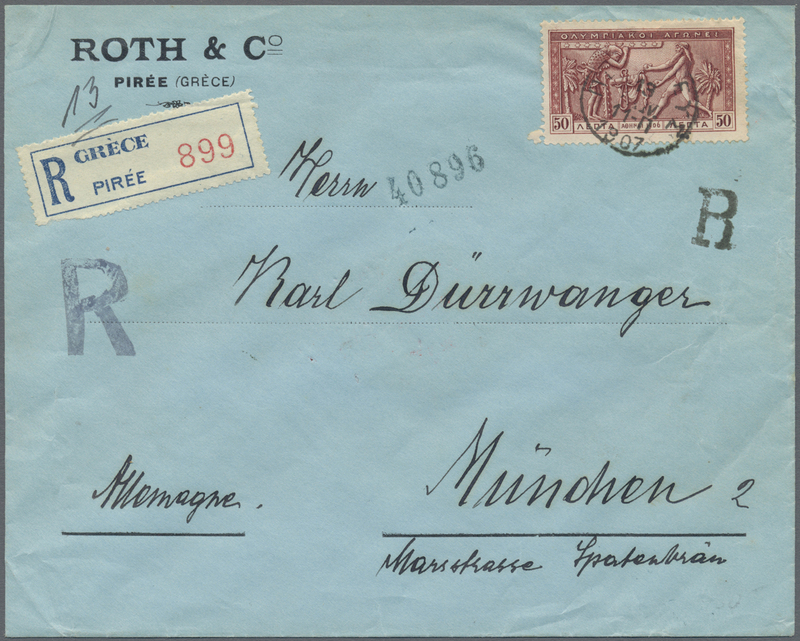 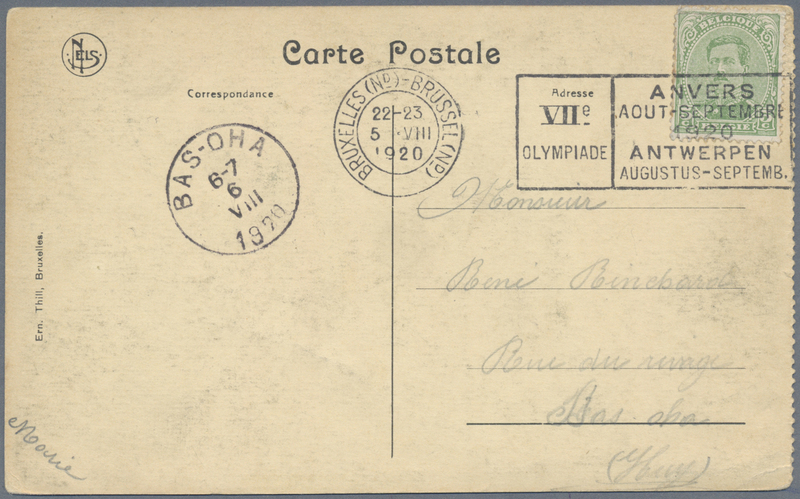 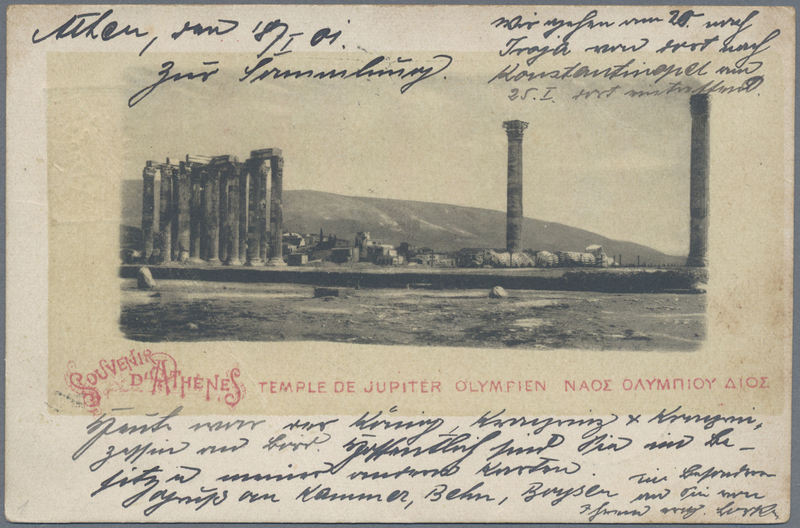 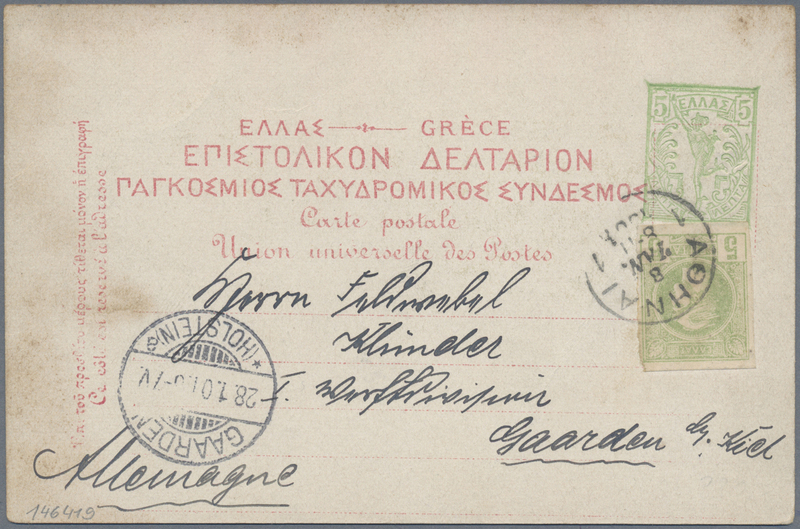 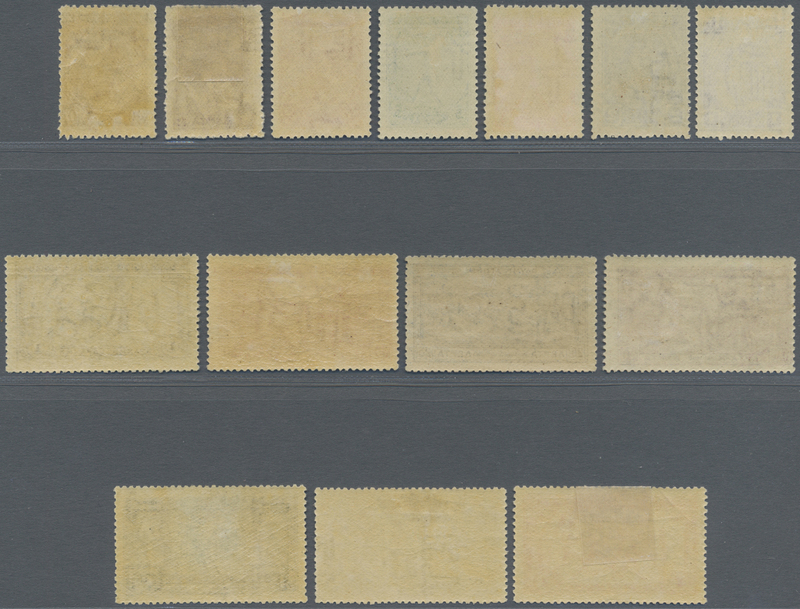 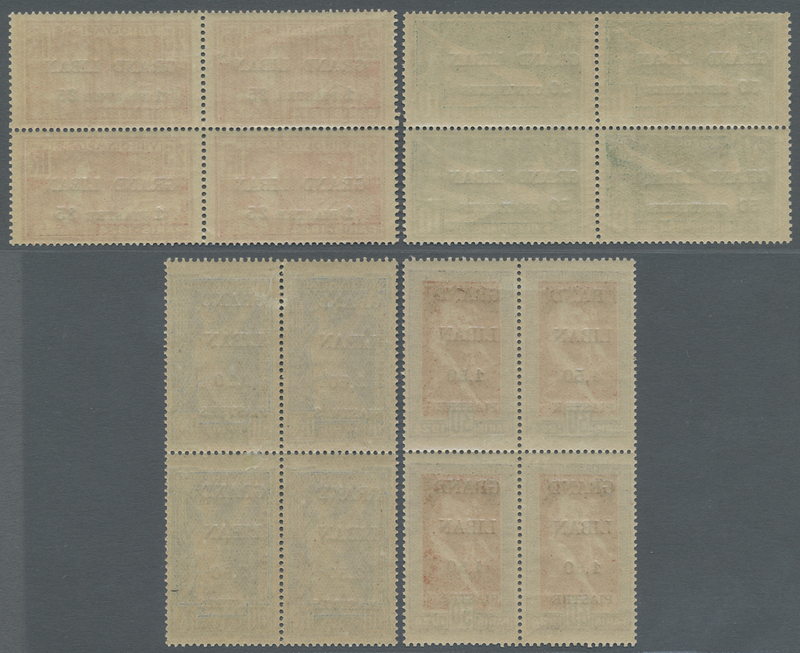 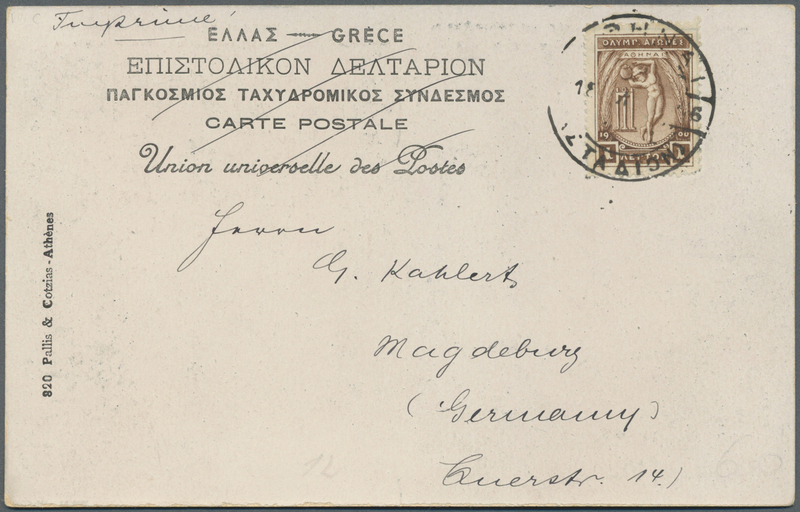 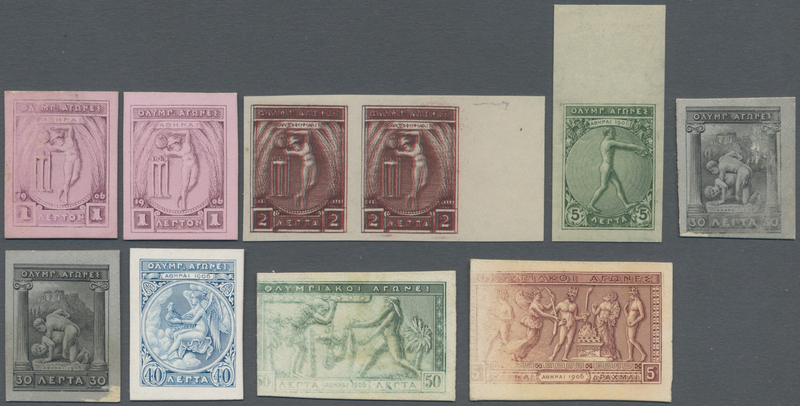 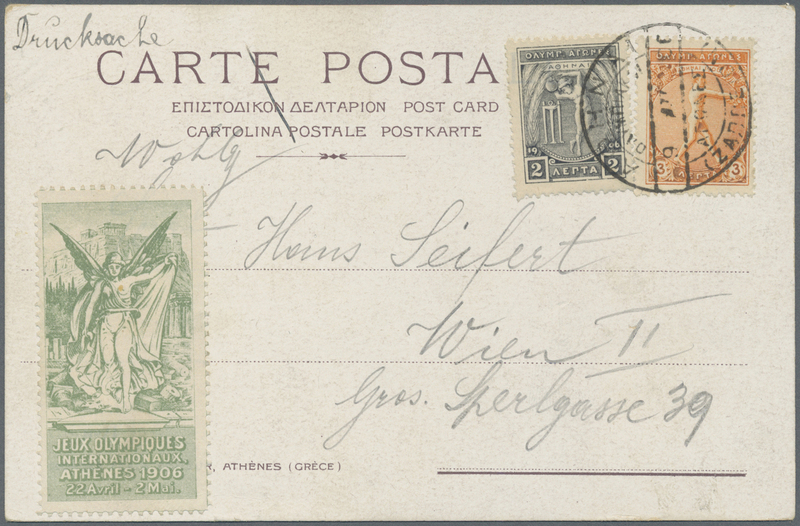 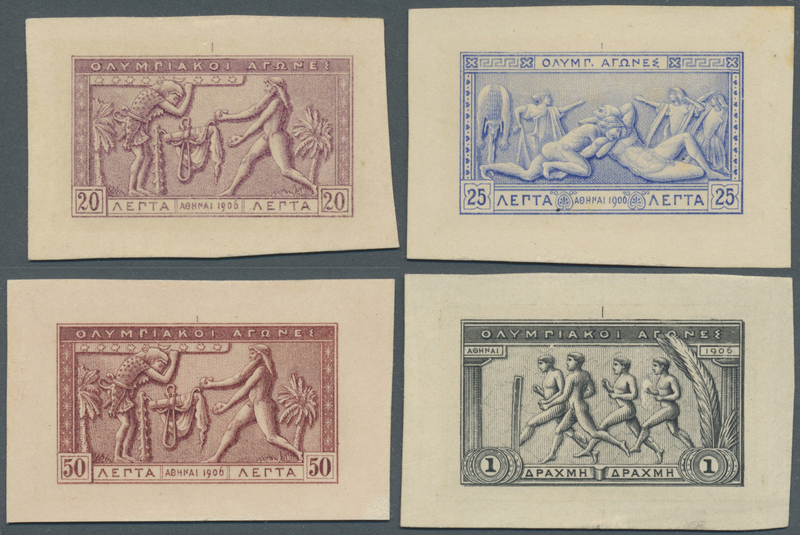 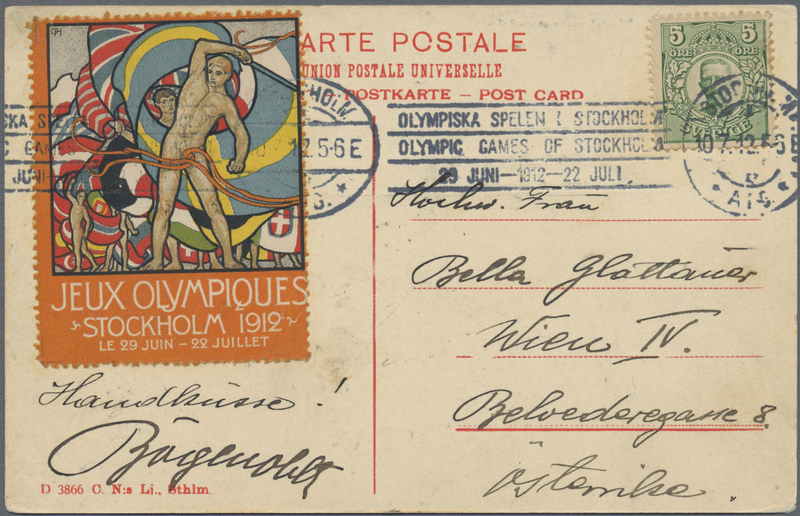 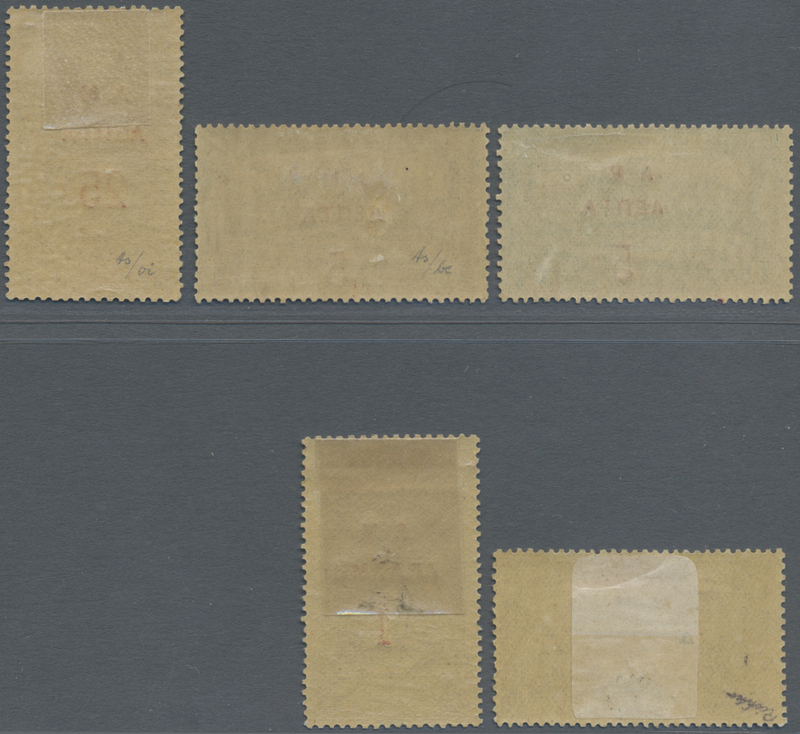 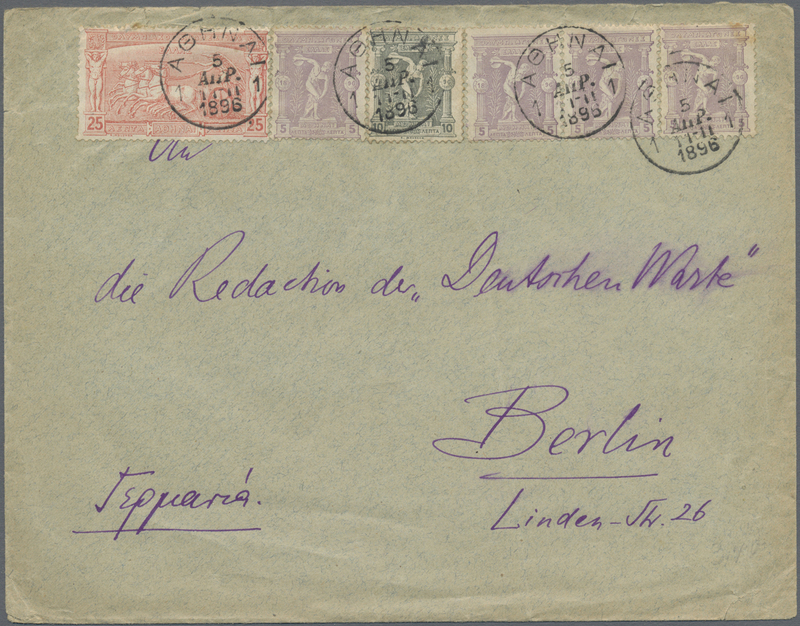 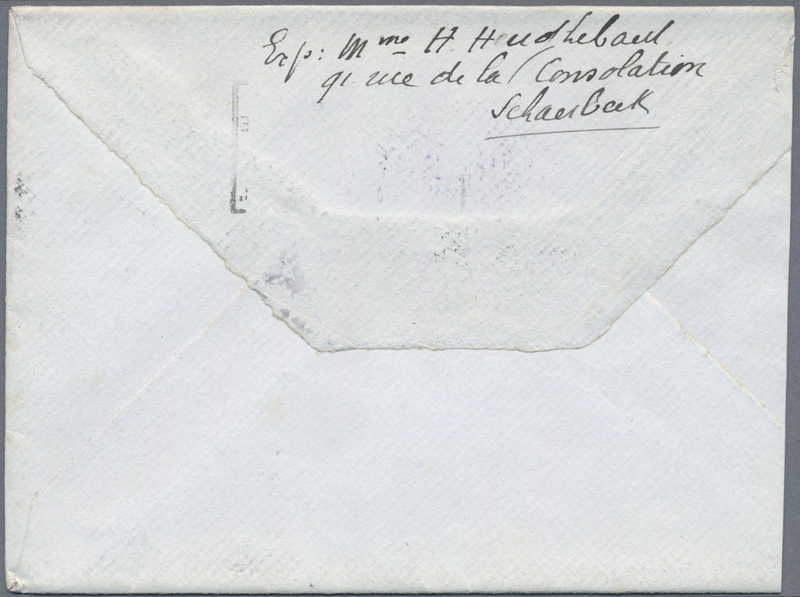 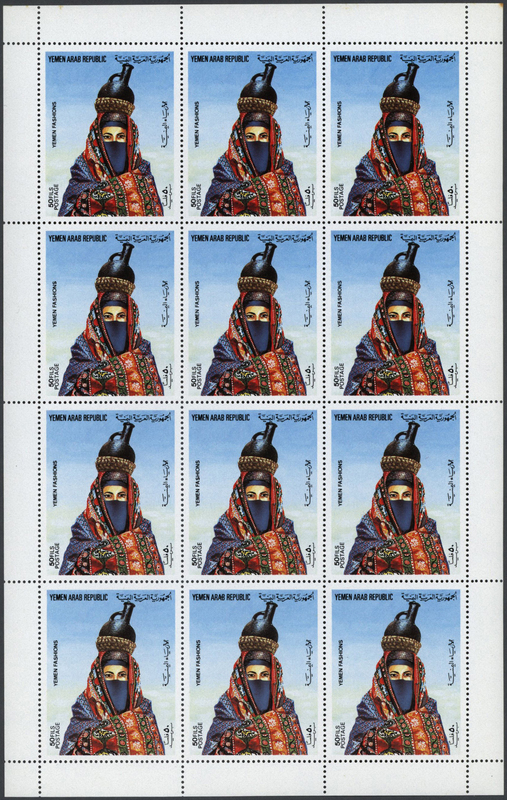 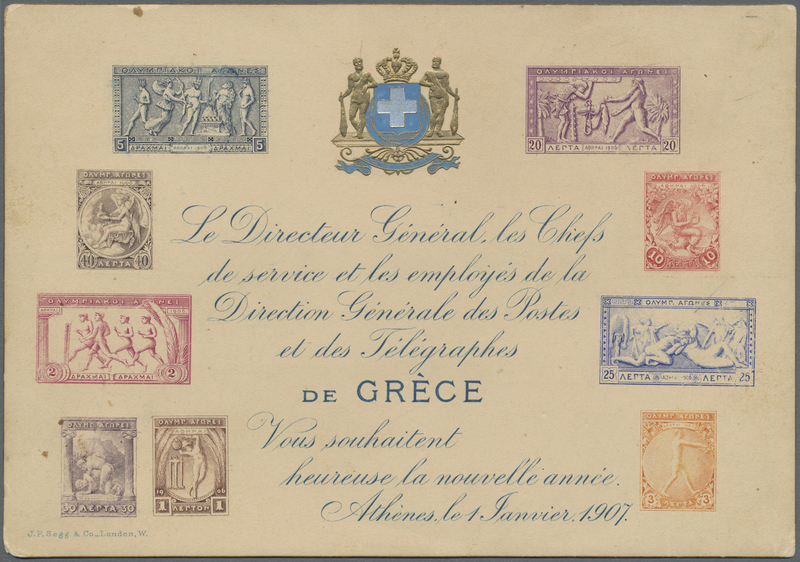 10407 ungebraucht (hinged) * 22/25 K 1924, Libanon, Olympic Games, complete set showing INVERTED overprints, mint o.g. 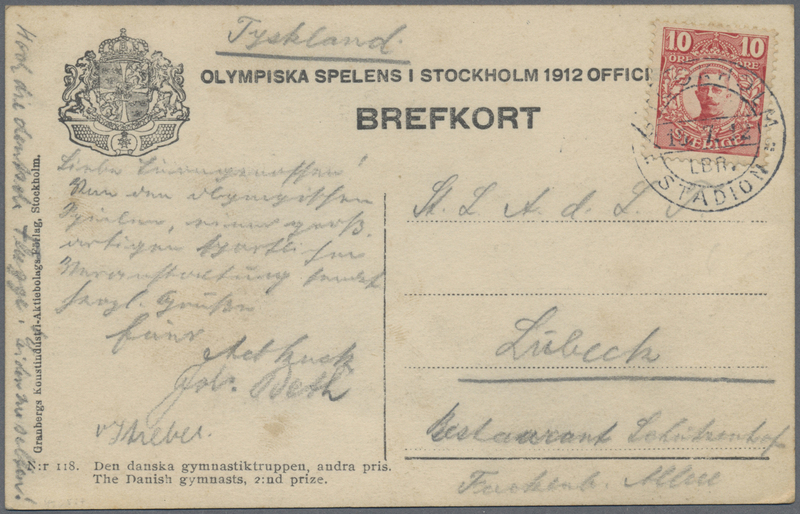 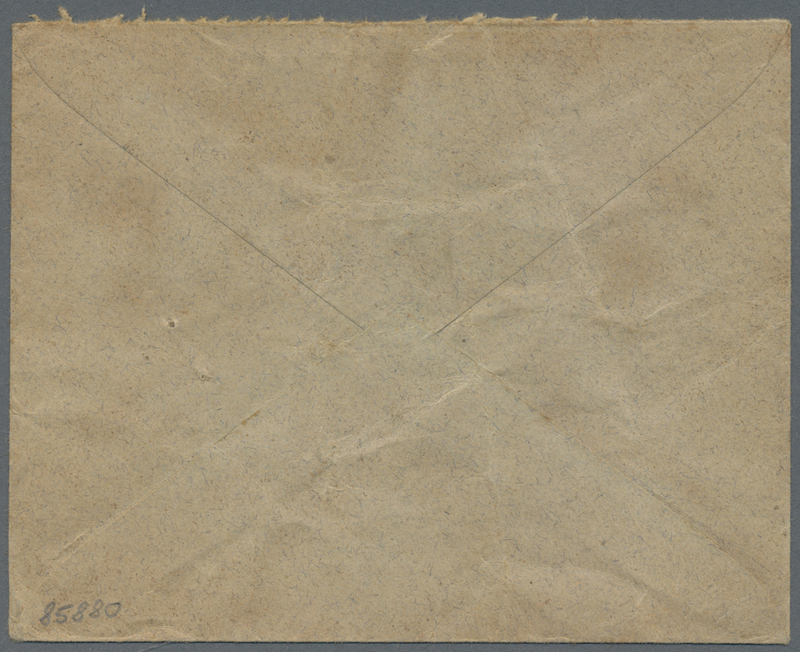 previously hinged, signed. 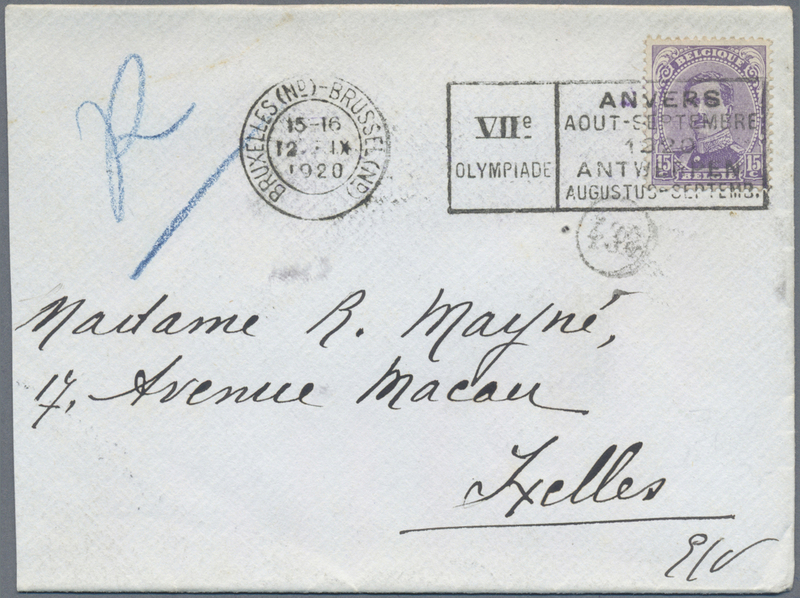 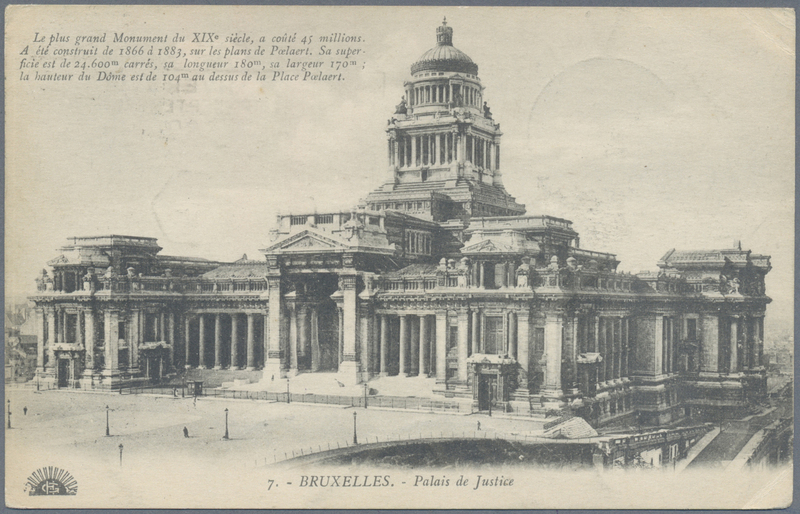 Maury 18d, 19c, 20b, 21c, 2.100,- €. 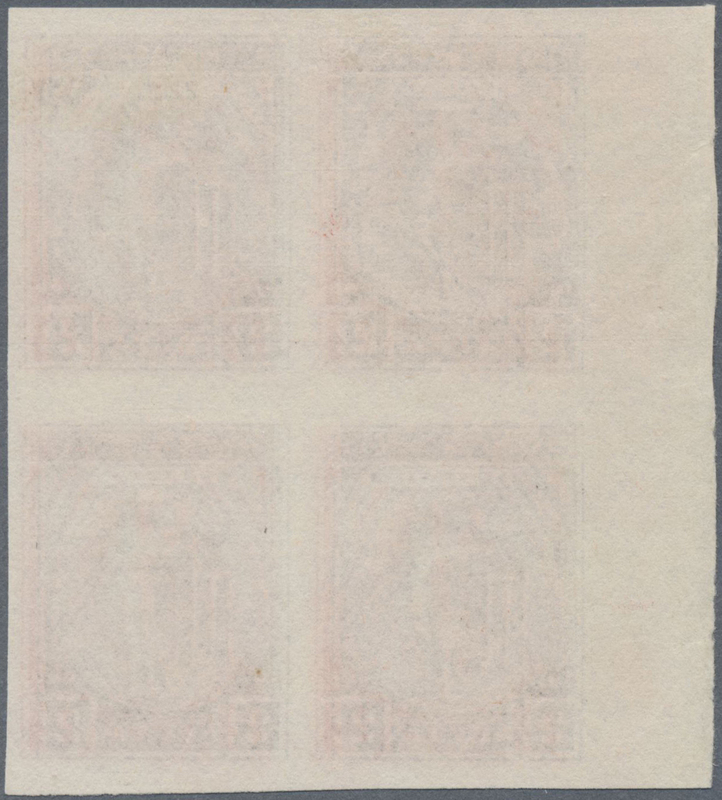 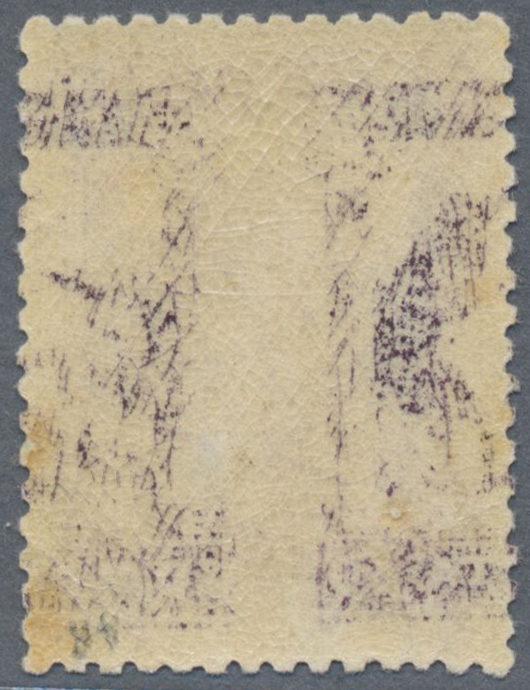 10409 ungebraucht (hinged) * 22/25 var. 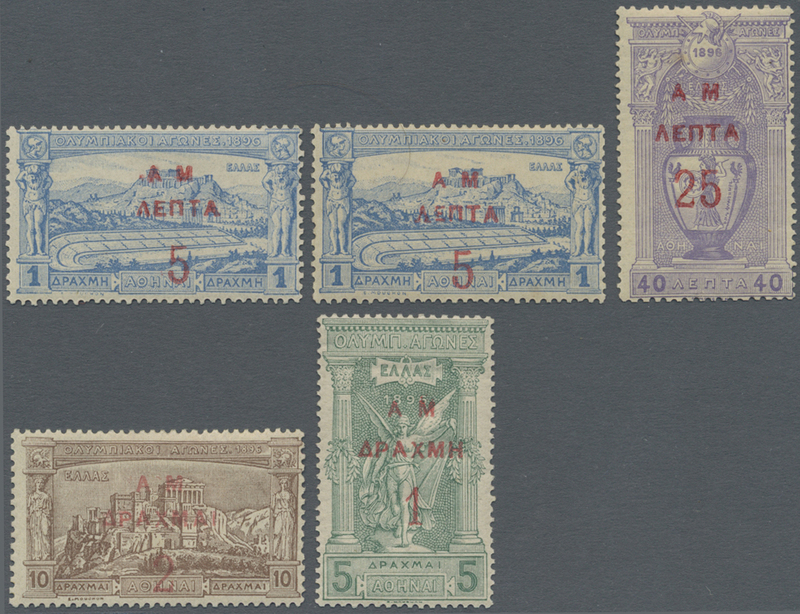 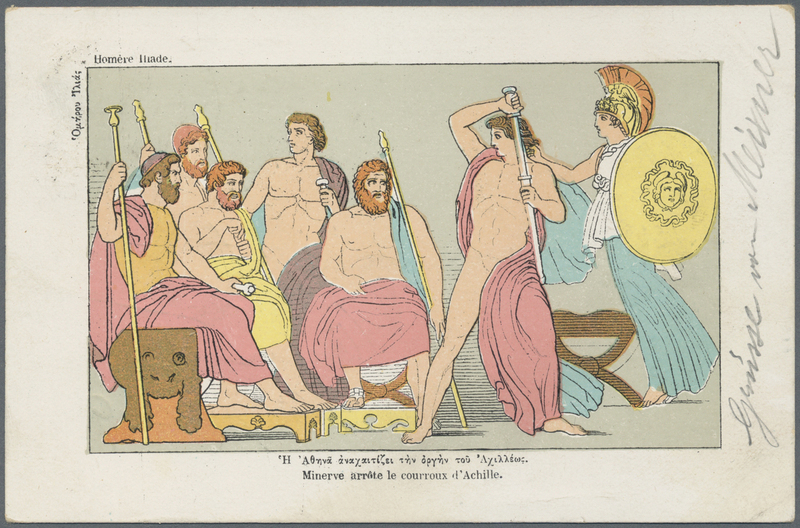 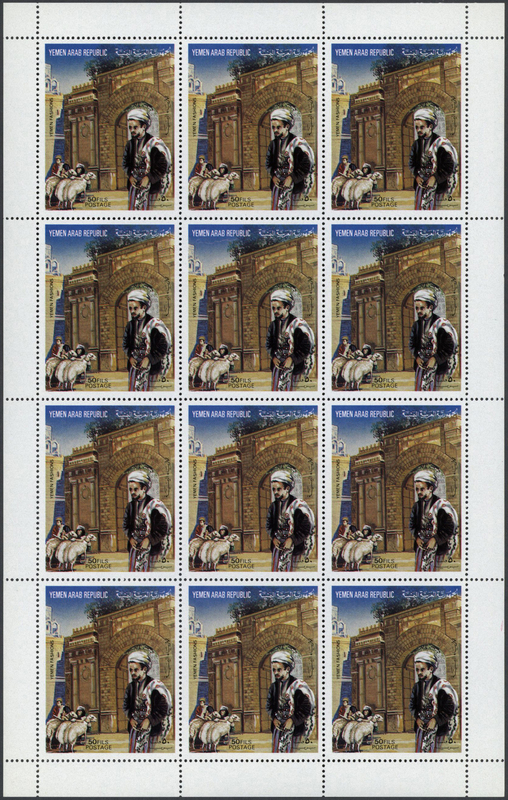 1924, Libanon, Olypic Games, complete set each with "Small G in GRAND", mint o.g. 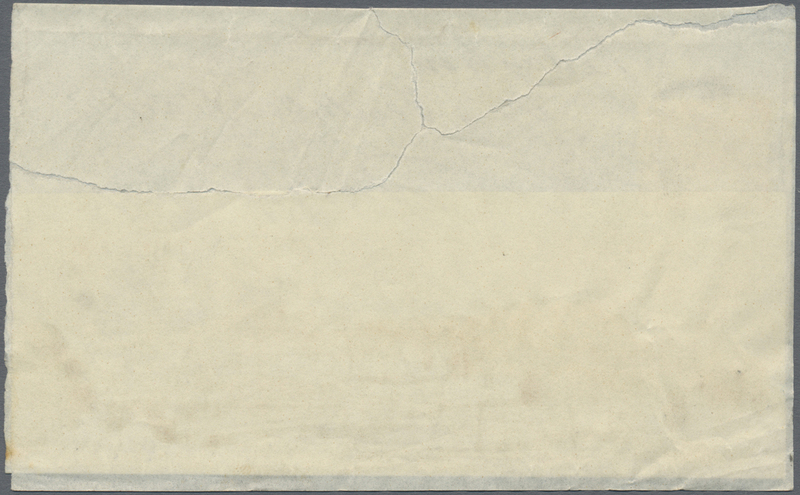 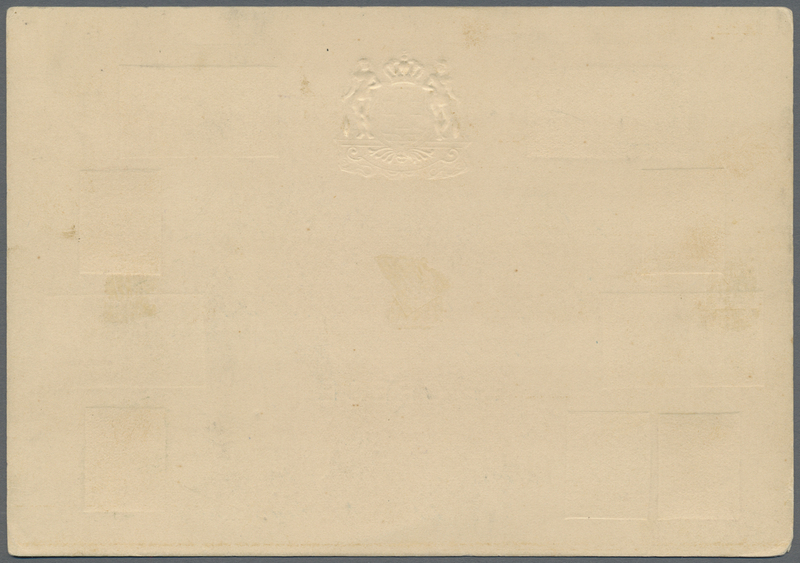 with hinge remnant/partly melted gum structure. 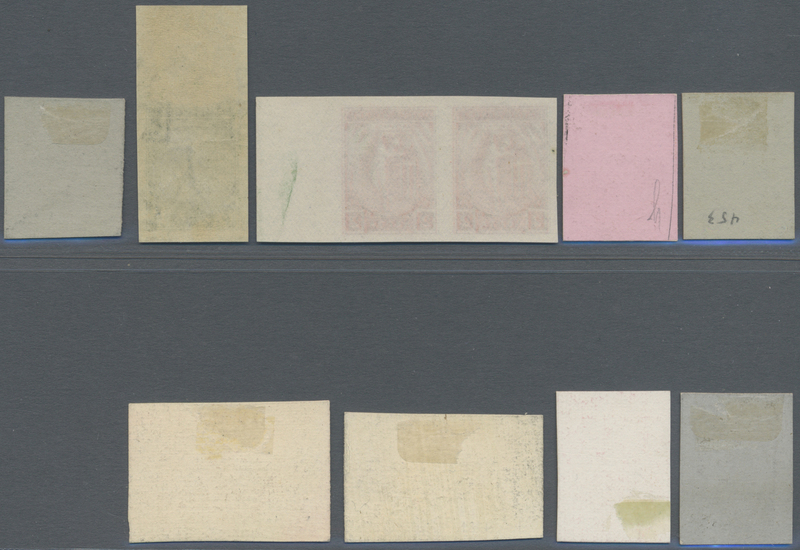 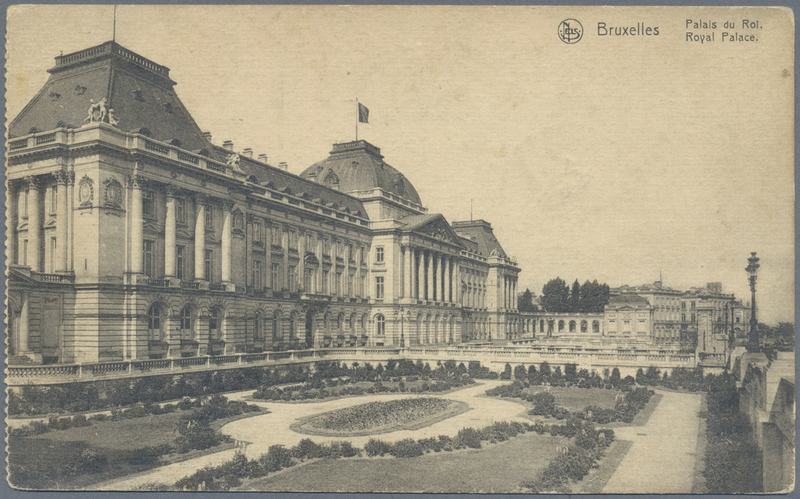 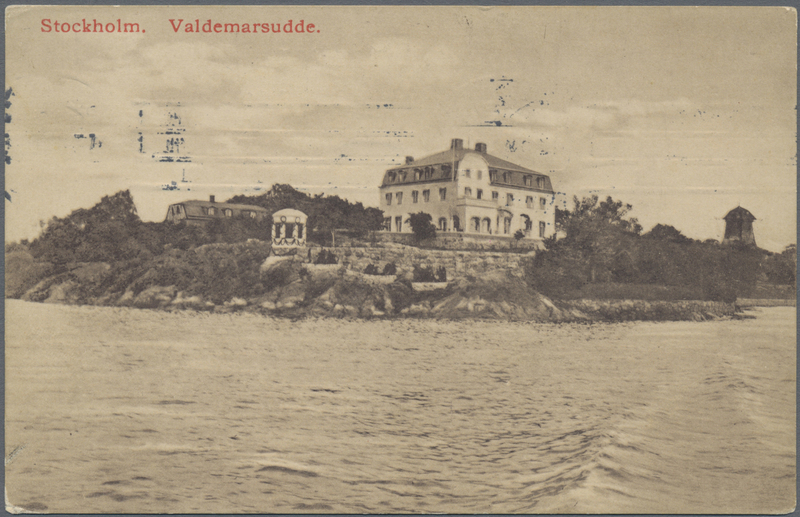 Maury 18b, 19b, 20a, 21a, 1.324,- €.